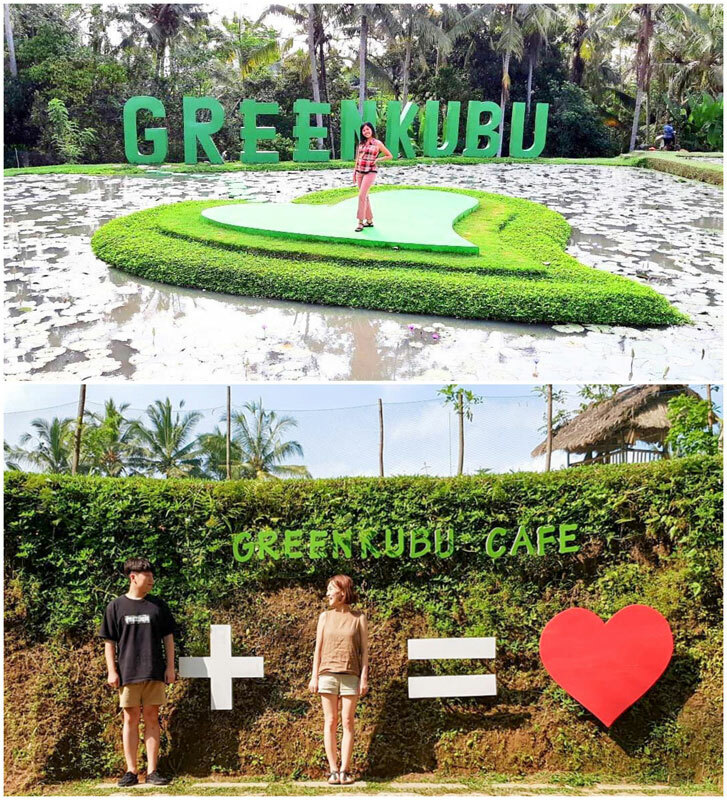 Indonesia > Bali > 4D3N Romantic couple itinerary to Ubud (Bali) with scenic natural attractions, restaurants and unique experiences! 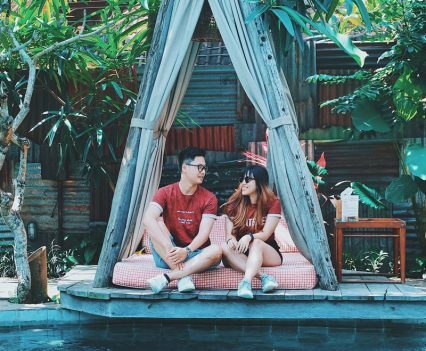 Planning for a lovers’ getaway to Bali? 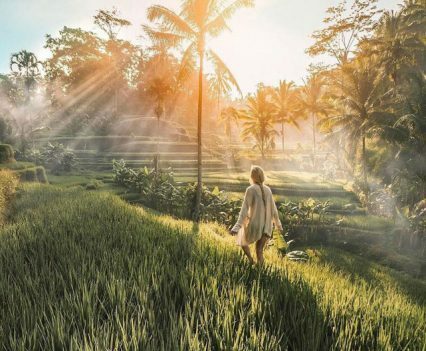 Chilling on quiet beaches is not all there is to a romantic holiday – why not set your next itinerary in Ubud instead? 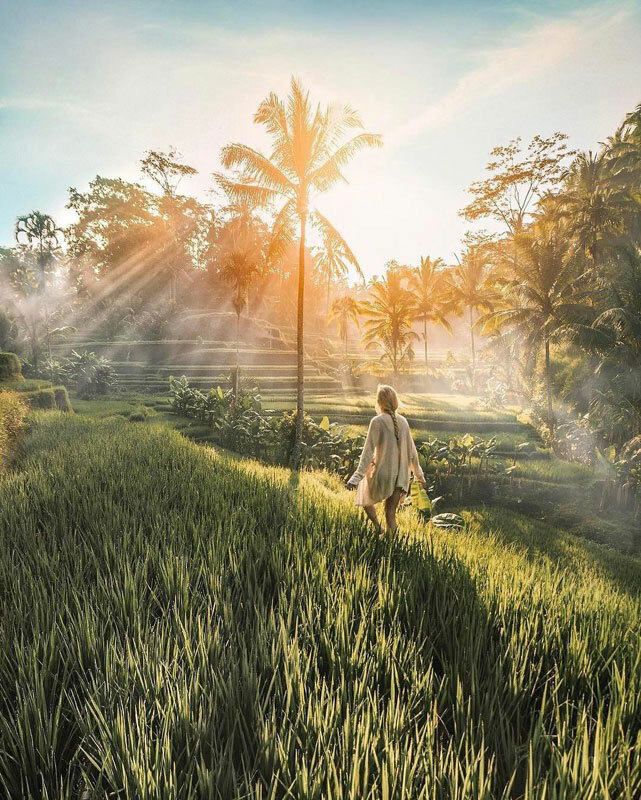 Known as Bali’s centre of culture and the arts, Ubud is a gorgeous creative hub that has plenty to offer for couples in search of a peaceful and romantic vacation. 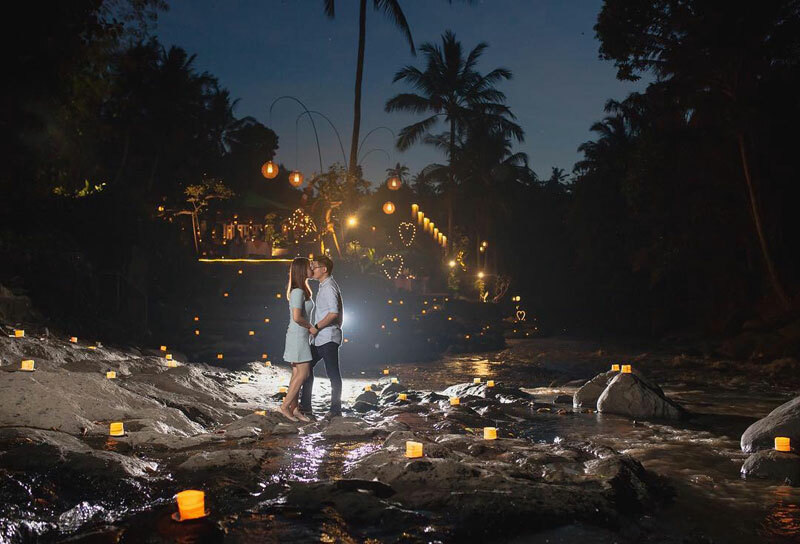 With unbelievable scenery, secret experiences and mouth-watering food as the perfect wingmen, you can just sit back and enjoy the romance in the air. Don’t believe us? 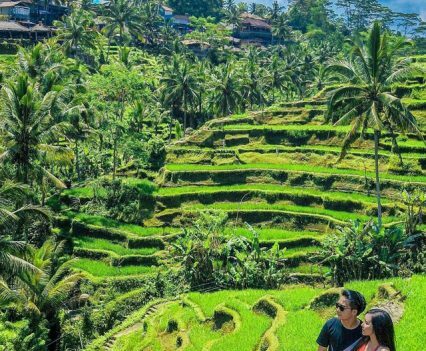 Check out our 4D3N romantic itinerary to magical Ubud, and we bet you’ll say ‘yes’ to this couple vacation! 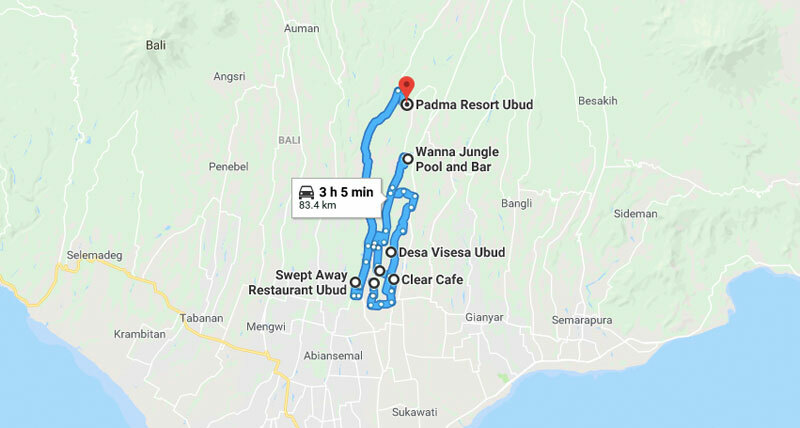 A 40-minute scenic drive from central Ubud, Padma Resort Ubud boasts of impressive levels of intimate privacy and hospitality, along with an 89-metre-long heated infinity pool overlooking the jungles – it’s no wonder things get steamy here! Take the first step towards an ideal couple getaway with the One Bedroom Suite, a spacious room with an even more commodious bathroom. What can get more romantic than a sensual soak in your own private jacuzzi right on the balcony? 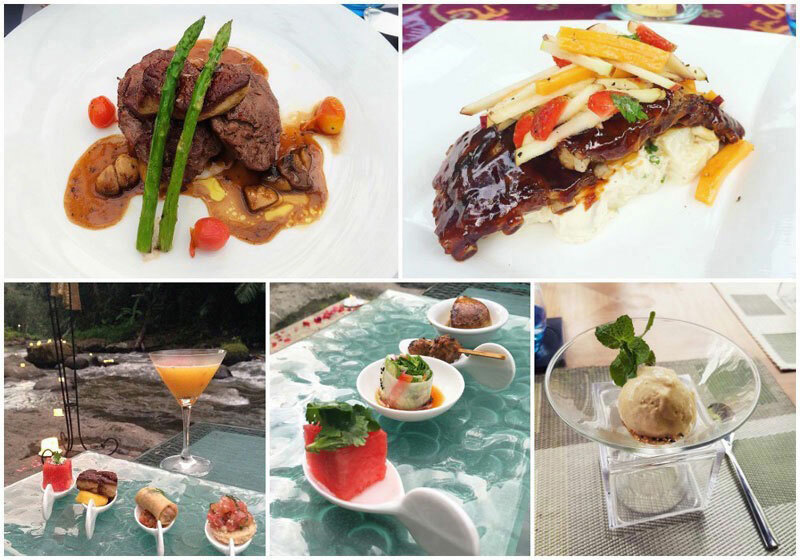 Well, if you’re looking to pop the question, take that leap in style with a private romantic dinner experience at the resort’s Bale Bamboo restaurant, and tuck in to a delicious meal! 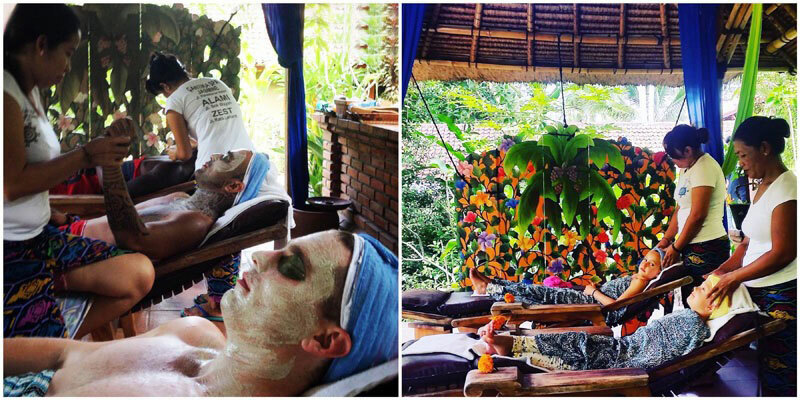 Haven’t been pampered enough? 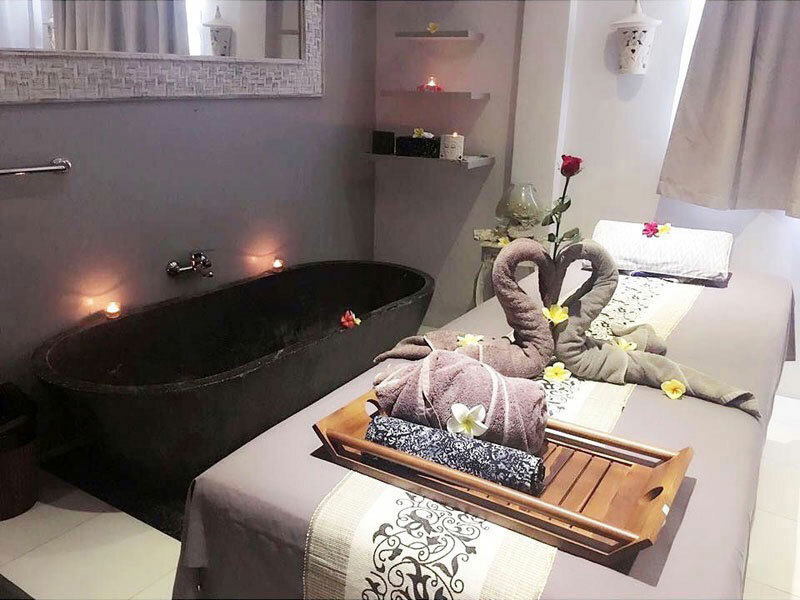 Head to their cave-inspired spa for romantic relaxation in the couple massage room, which comes with a bathtub and treatments that might just take you to seventh heaven. 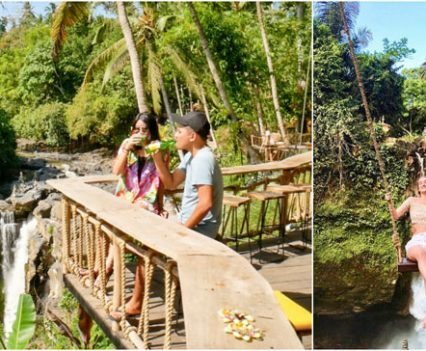 And when you get tire of being indoors, hop on a memorable road adventure around Ubud’s best sceneries with their Bali Voyage experience! All that’s left to do, is to say ‘yes’! 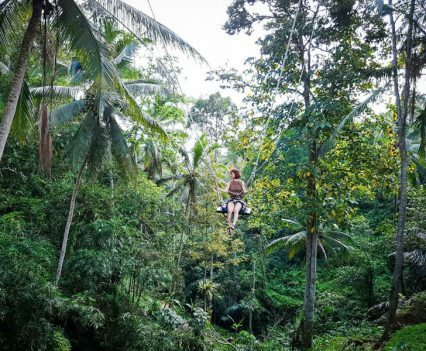 With this 4D3N itinerary, you’ll get to experience the best of Ubud and its hidden gems. 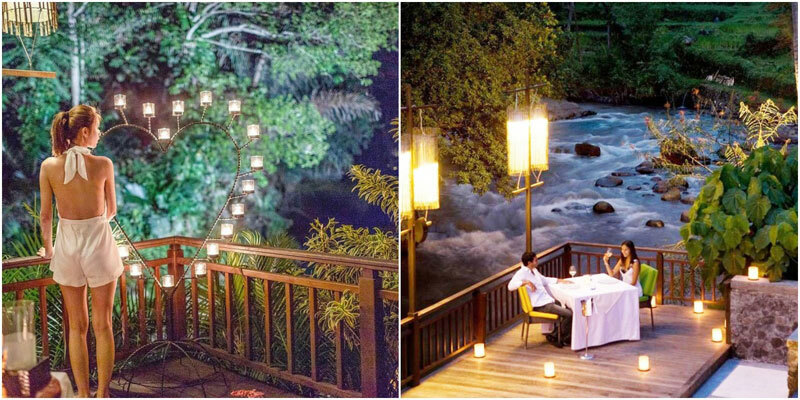 We’ve included unique experiences from enjoying a romantic dinner by the rushing river, chasing magical waterfalls and mystical temples, partying at the newest jungle river clubs, to indulging in affordable luxury spa treatments with a view! 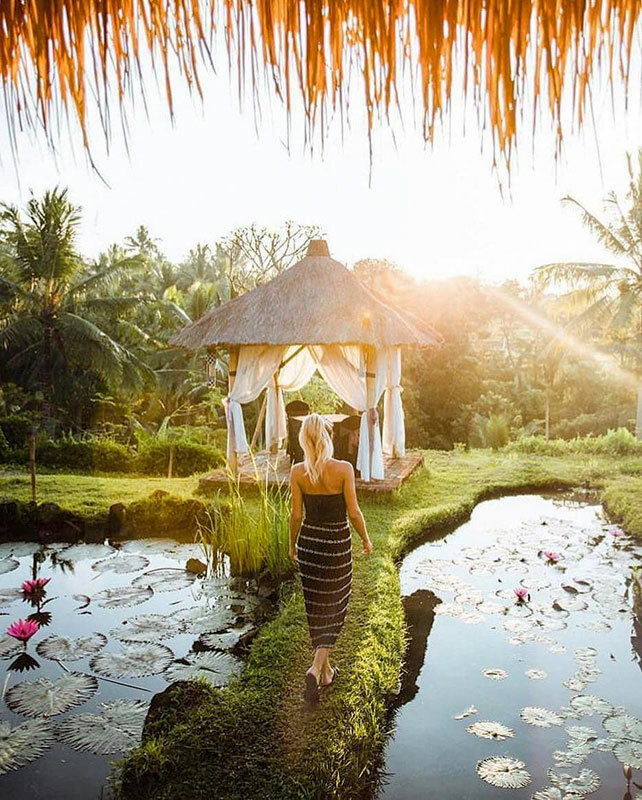 Nowhere else does romance like Ubud! Day 1: Reignite your love and passion amidst Mother Nature’s greatest gifts! 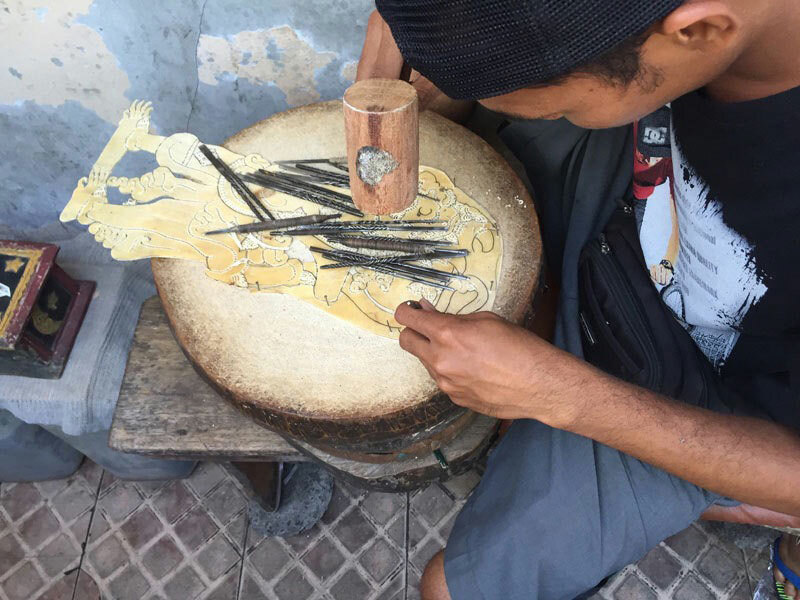 Day 2: Immerse in traditions and learn about local culture together! Day 3: Unwind with leisure activities and free your minds from daily worries! 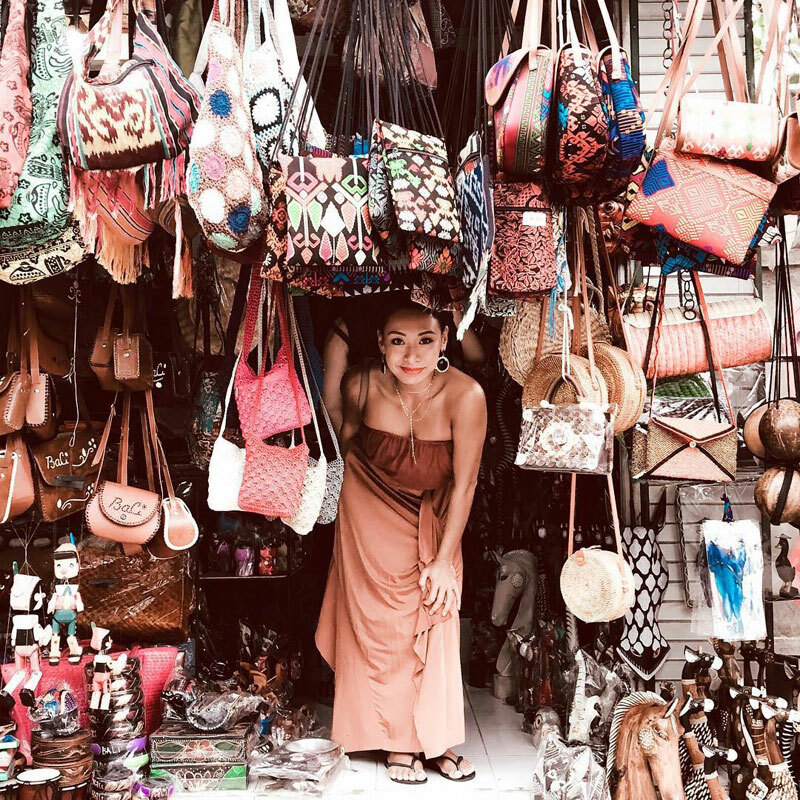 Day 4: Treat yourselves with a last pampering session, sweet treats and shopping! 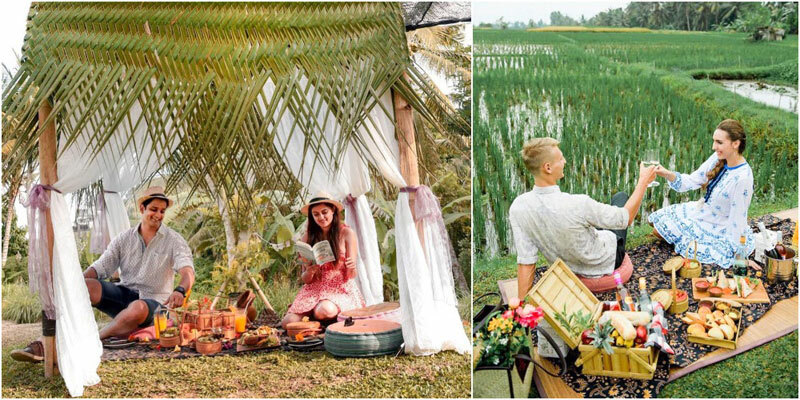 Reignite your love and passion amidst Mother Nature’s greatest gifts! 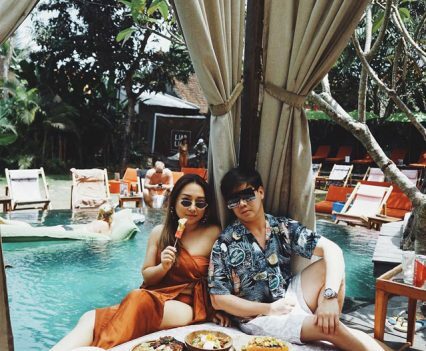 Prince and Princess, you have now landed in Bali! 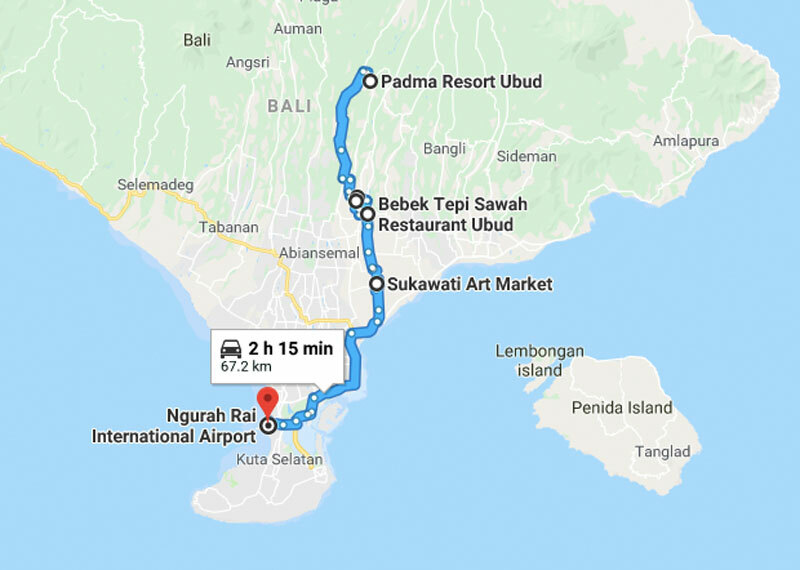 It’ll take nearly 2 hours to reach Ubud, but the long and scenic drive will definitely be worth it. 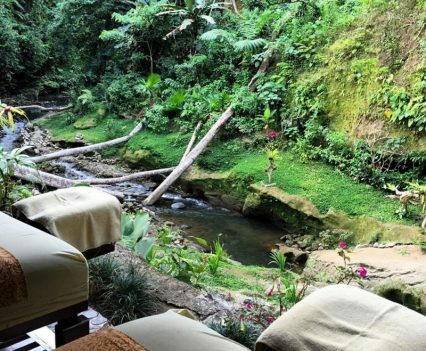 Rest assured, as we have a relaxing day ahead – today, you’ll get to explore a magical waterfall that hides a unique river club, before treating your stomachs and eyes with dining experiences that offer spectacular views! 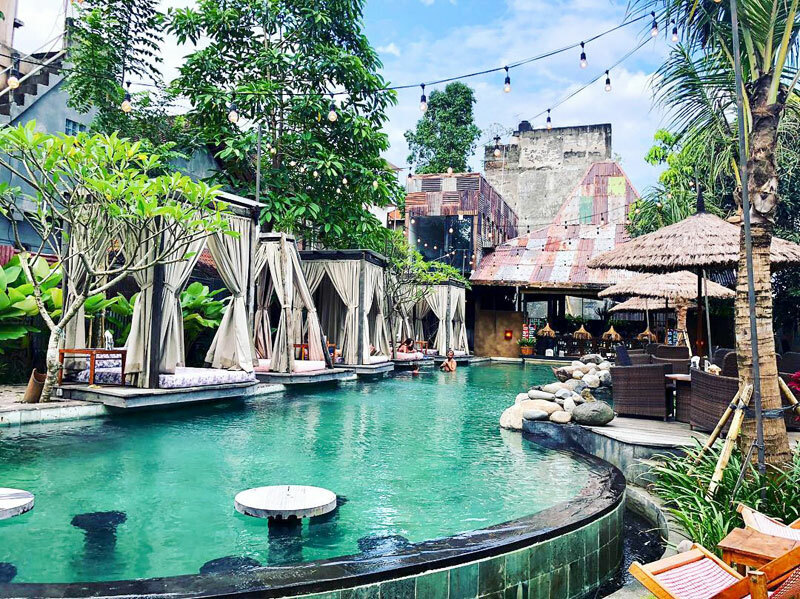 Of course you know about Bali and its iconic beach clubs, but have you heard of the ‘waterfall club’ that’s shaking up the romantic scene? 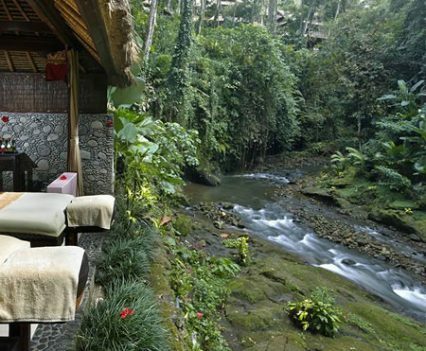 D’Tukad River Club is Ubud’s all-new natural haven with a treehouse concept – right atop Tegenungan Waterfall. Simply climb several flights of stairs, and be wowed by the majestic streams of water that form this magical cascade! 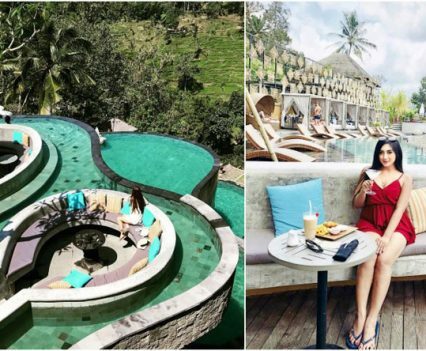 Most guests spend their time soaking in the two-tiered pool while sipping on cocktails and munching on light-bites. Scared of getting wrinkly fingers? 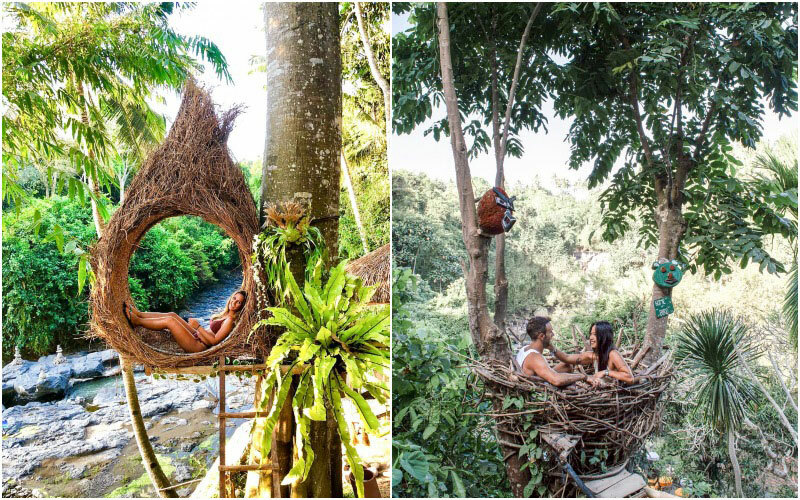 Catch a break on the scenic wooden terrace, or hop on the swings that hang out over the river for a quiet date with the jungle! We love how creative party-fanatics are getting! 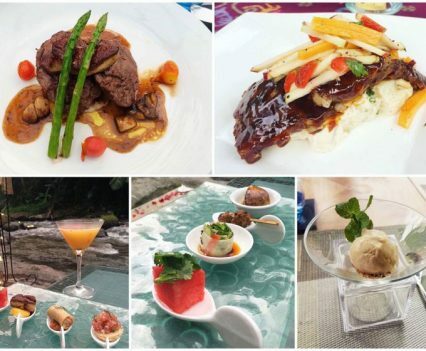 A river club – why didn’t anyone think about this before!? 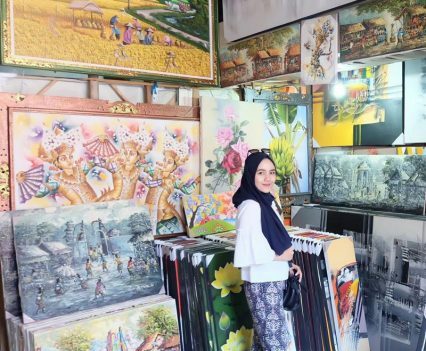 Address: Jalan Ir. 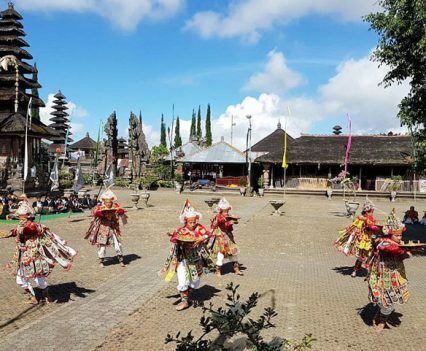 Sutami, Kemenuh, Sukawati, Kemenuh, Sukawati, Kabupaten Gianyar, Bali 80581, Indonesia. Coordinates here. 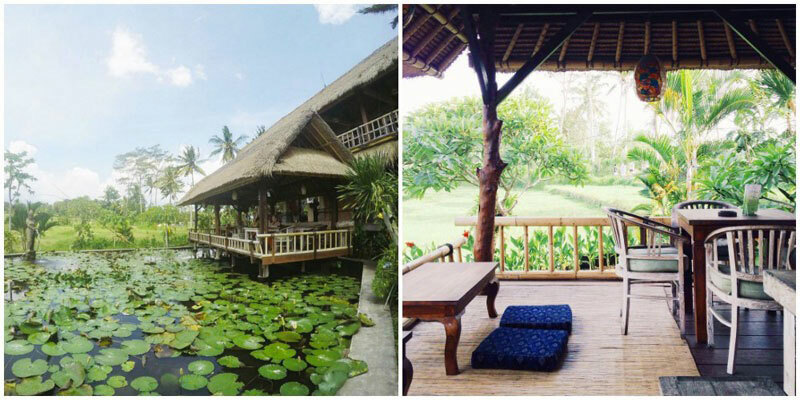 It’s back to nature for lunch time as you indulge in delectable traditional dishes… right amidst the rice fields! 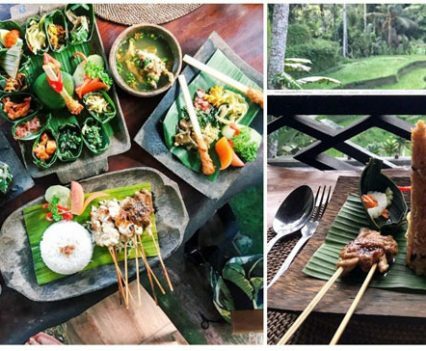 Offering endless views of greenery, Green Kubu Cafe could very well be the “La Plancha” of Ubud. 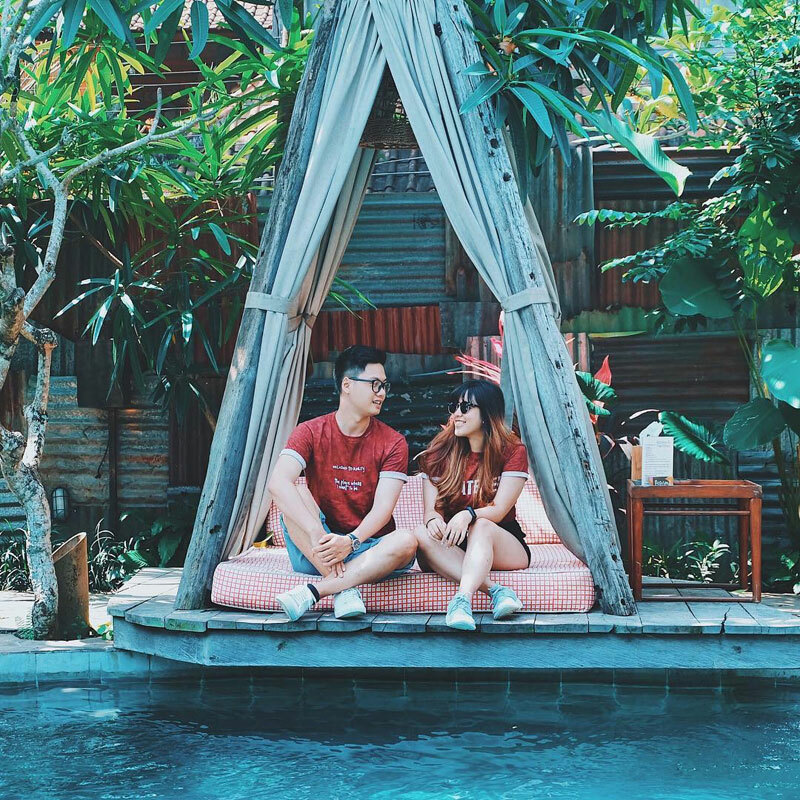 Cuddle up with your partner on colourful bean bags protected by flamboyant Balinese umbrellas as you enjoy magical vistas together – that’s what we call romance! 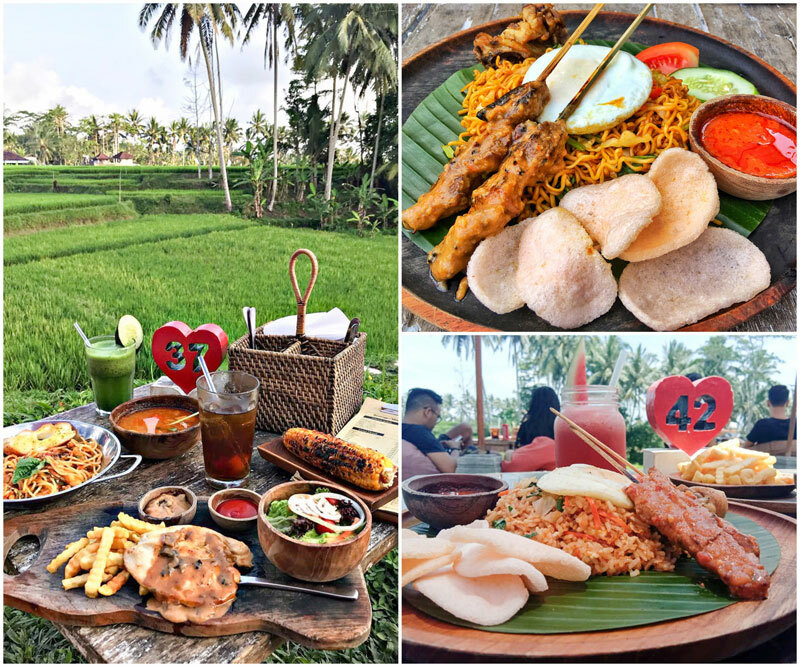 While the view is the main draw, many come for a bucket of ice cold Bintang and a plate of savoury Nasi Goreng (fried rice). Psst! Feeling a tad extra hungry? 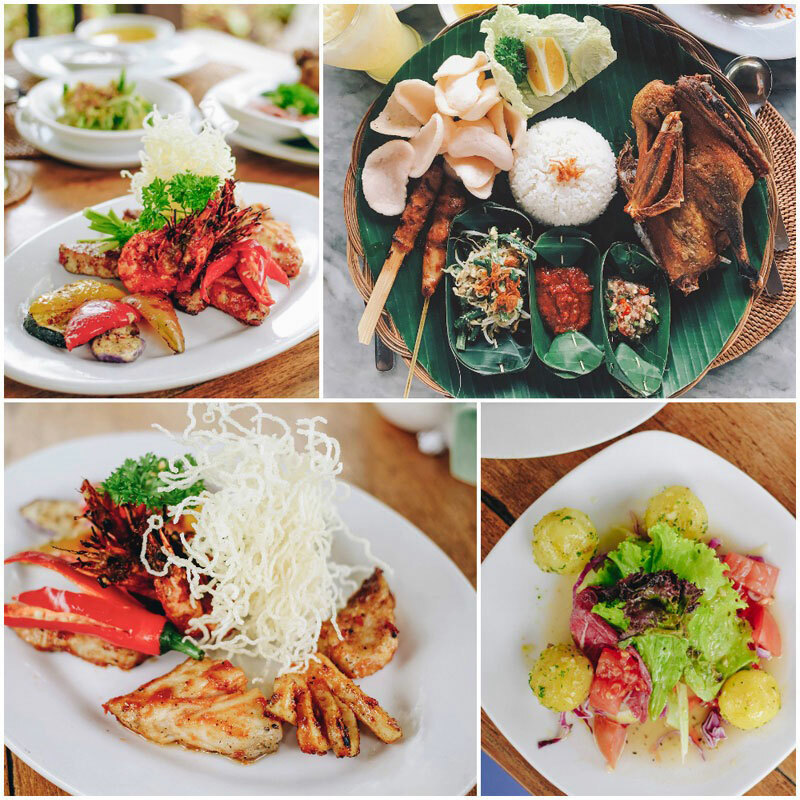 Get an entrée – their grilled spicy corn on the cob is a big hit, especially when it gets chilly in Ubud! 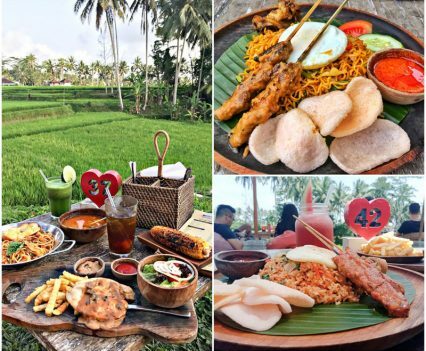 The cafe also happens to feature a swing (Kubu swing), so you can always keep up with your Insta-bragging, even at lunch hour! 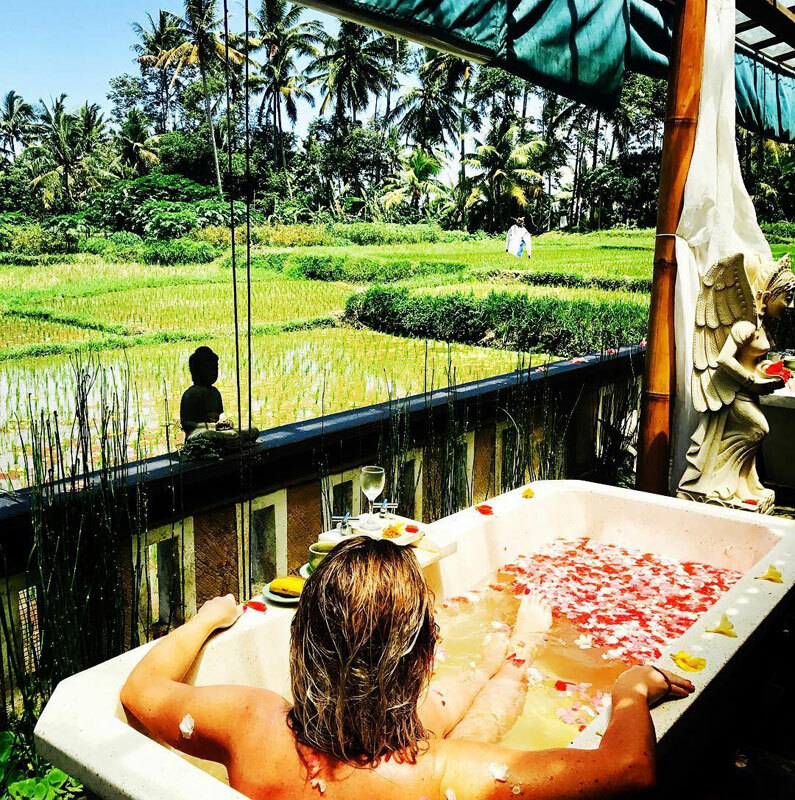 We know the jetted-tub for two on your balcony is tempting, but what’s relaxation on an empty stomach? 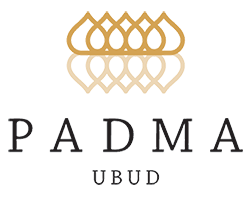 Prove your love for your prince/princess by treating them to a royal high tea experience at The Club Lounge of Padma Resort Ubud! Enjoy a private and intimate experience with your significant other as you sip on pure, warm goodness and admire the unobstructed views of the river valley through floor-length glass windows. 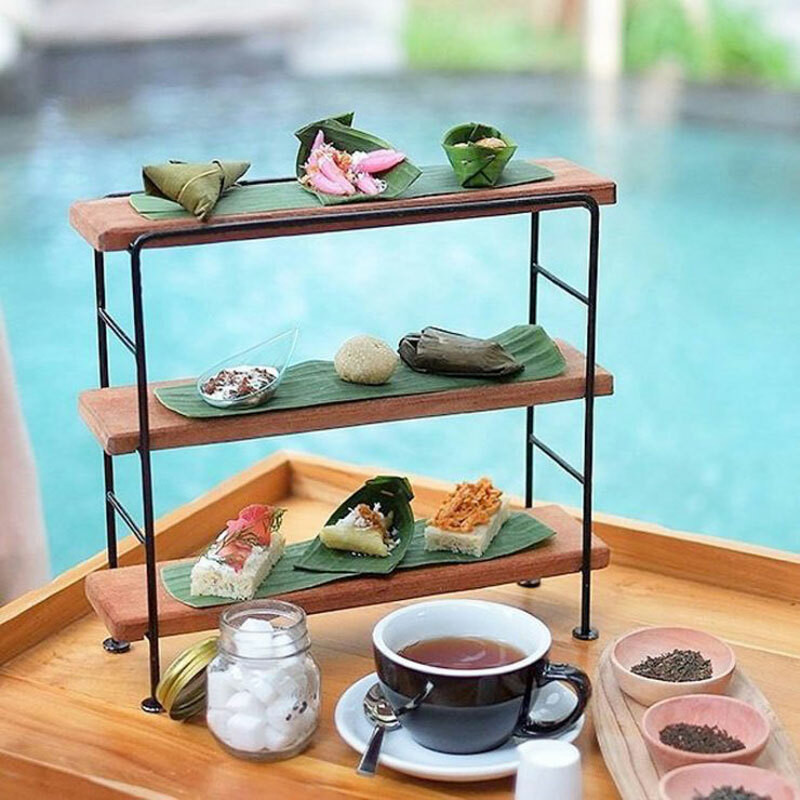 But don’t get too carried away, for the highlight here is the round-shaped tiered tray packed with all-time favourite sandwiches, buns and other fancy treats – a guaranteed feast for the eyes and stomach! Note: High-tea at The Club Lounge is included in club members’ room rates. 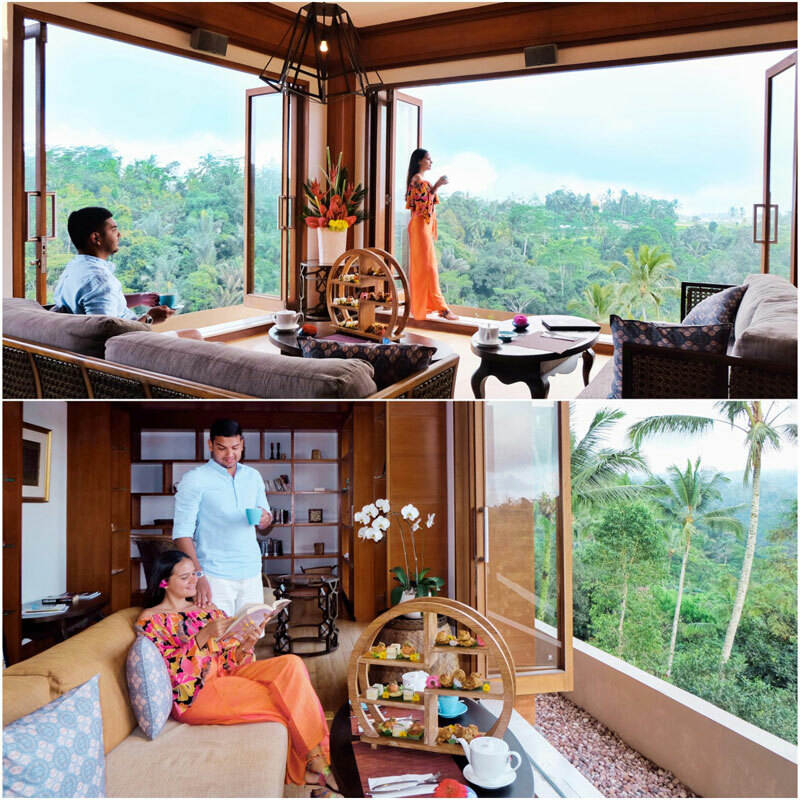 This experience is exclusively reserved for club members only and not open for regular guests and non-hotel guests. Breakfast is also available at The Club Lounge for club members. 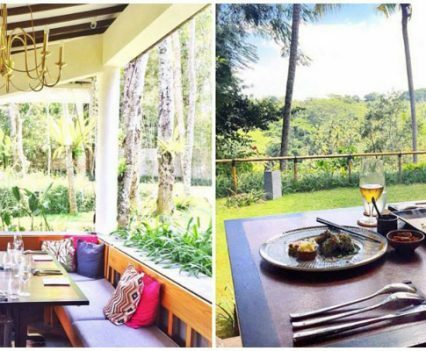 If you love the great outdoors, you’ll definitely fall in love with The Sayan House, a beautiful restaurant that overlooks the Ayung River, surrounded by a lush forest and rice fields. 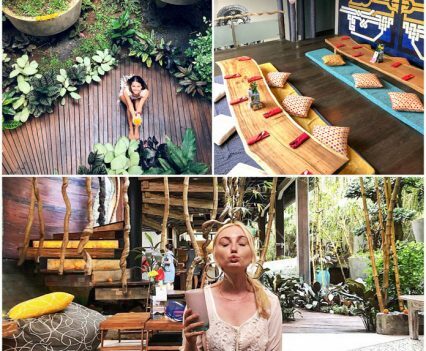 A unique experience is what you’ll definitely get here. 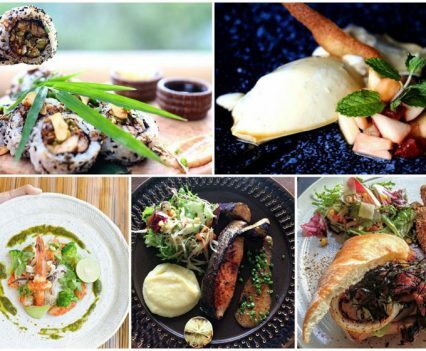 Other than the absolutely breathtaking view, the restaurant offers equally awe-inspiring fusion dishes (Japanese and Latin) with unique twists, such as Babi Guling Sushi and Crispy King Prawn & Avocado Maki. 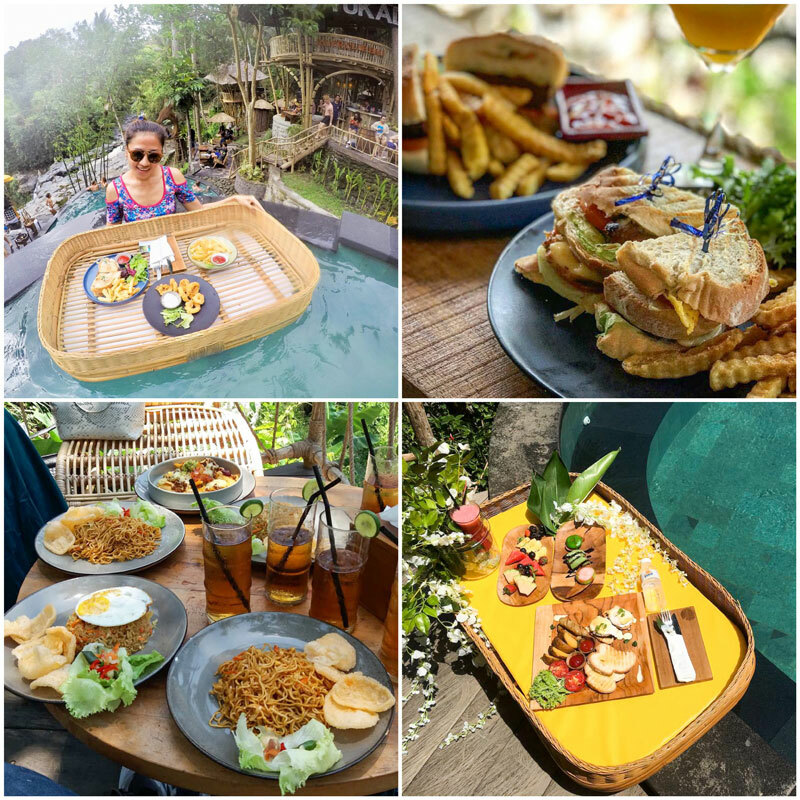 Whether you’re just here to get your tummy filled, or want to celebrate a special occasion, this restaurant is bound to make your first romantic dinner in Ubud extra special! 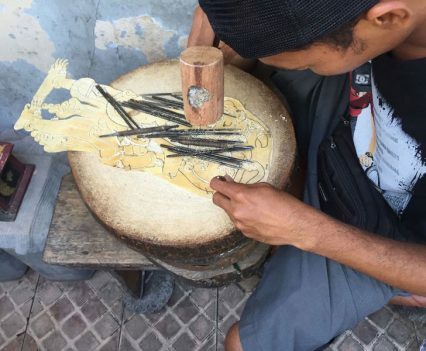 Immerse in traditions and learn about local culture together! 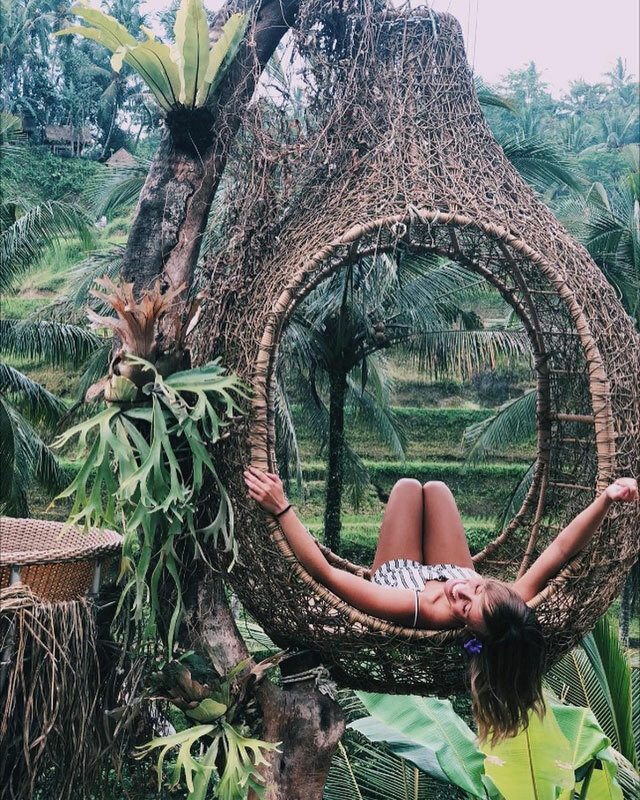 We hope you’ve enjoyed a restful night in the jungles, for you’re about to have an active day exploring Ubud’s famous icons – temples and rice terraces! 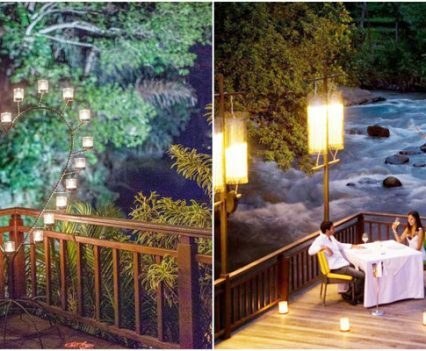 You’ll also get some pampering time at a riverside spa with a view, and an indulgent dinner with traditional Balinese performances! 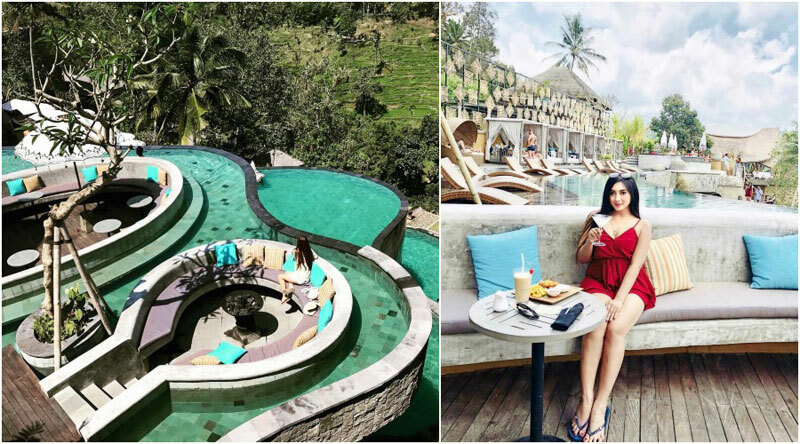 What better way to start the day than taking your lover on a breakfast date in the pool? 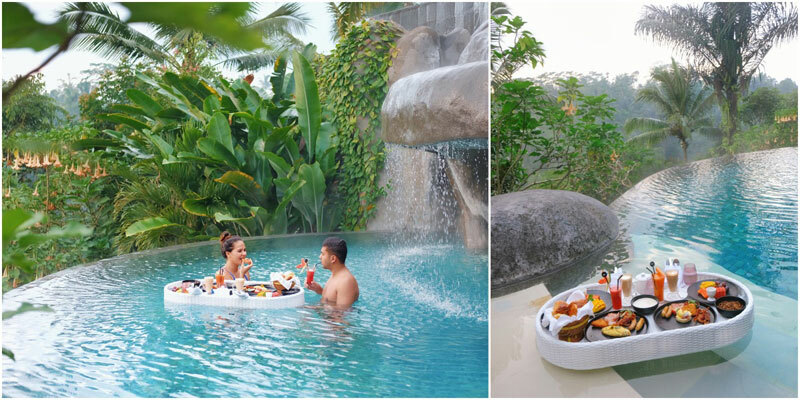 Enjoy a refreshing morning swim with your partner in a hidden pool, as breakfast is served on a floating tray that’s adorned with colourful and yummy breakfast items. Everything is fresh and healthy and besides fruits, you’ll also find your little viennoiserie basket, sausage, eggs done the way you like them, and many more! Why queue up for the typical hotel breakfast buffet, when you can have this exclusive experience all to yourself? Tip: Opt for breakfast at 7am, when most guests are still asleep and you can enjoy your first meal in privacy and peace! 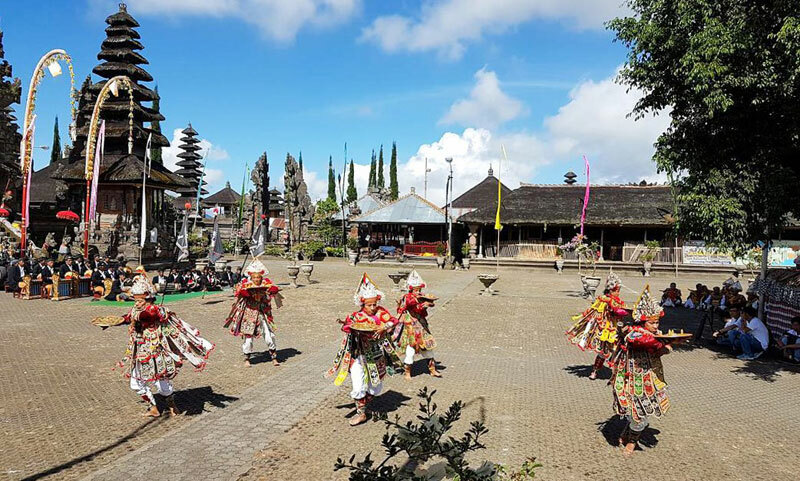 With approximately nine majestic temples within its complex and over 200 different shrines and pavilions inside, Batur Temple is known to be the second most significant mountain temple in Bali. 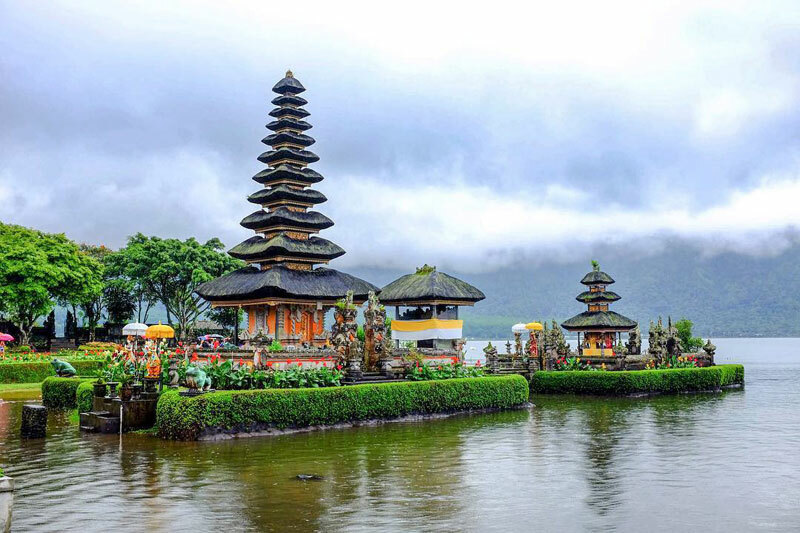 Featuring beautiful vistas of Mount Batur and Lake Batur, the temple depicts the perfect combination of culture and nature. 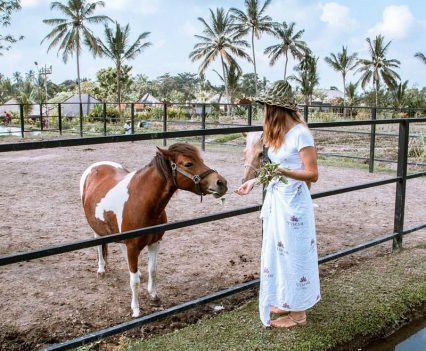 Psst – if you’re looking to add another member to your family, come here to honour Dewi Danu, the goddess of Lake Batur, as she’s known to bless the island with fertility! 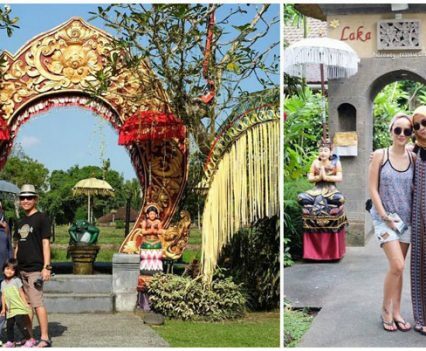 Note: We recommend that you dress respectfully or simply bring a sarong to enter the temple, as the ones sold on-site are known to be complete rip-offs! 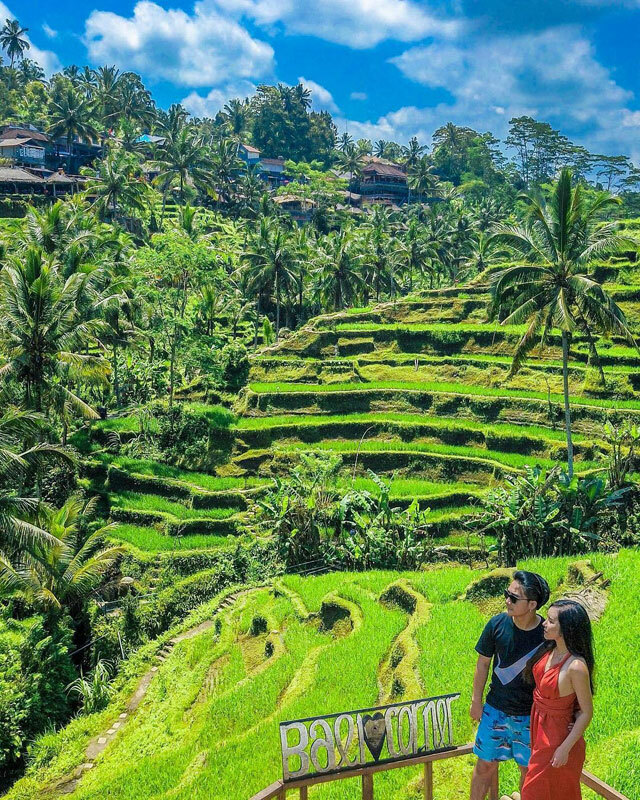 No, seriously, have you really been to Bali if you haven’t visited the rice paddy fields and taken a picture hand in hand with your lover while walking through the terraces? 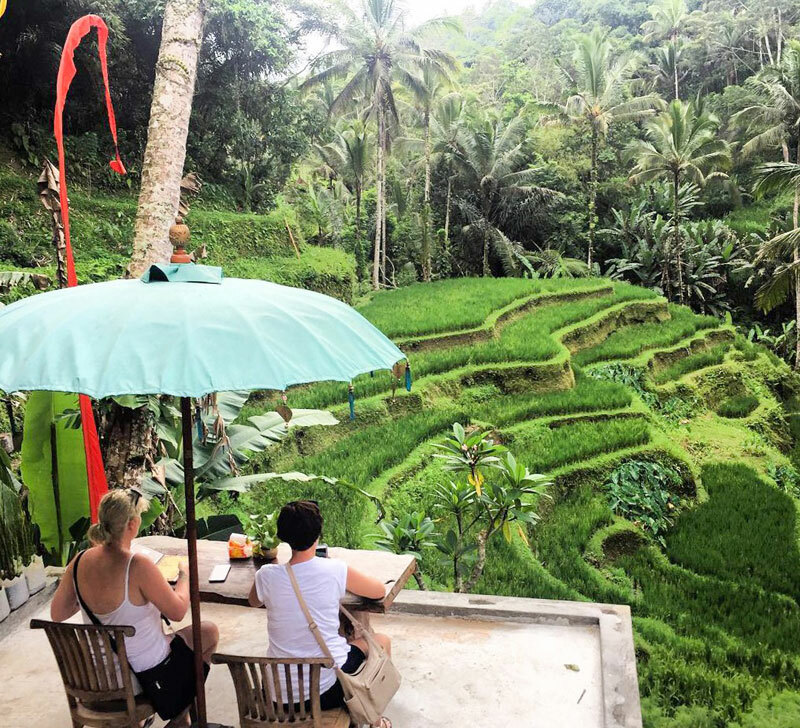 Nowhere else do stalks of rice look so majestic – only at Tegallalang Rice Terrace in Ubud! 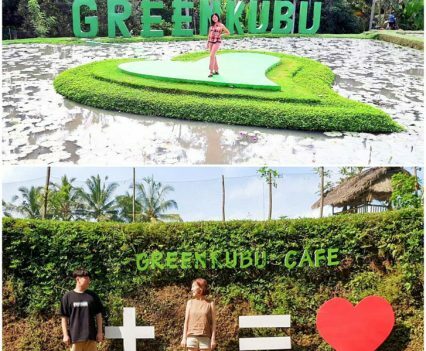 Last we heard, there are even swings there now, so it’s time to take that couple Instagram shot up a notch! 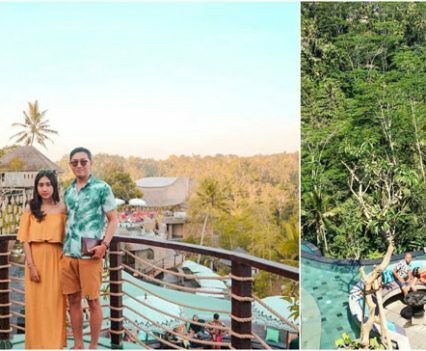 You might have to fight through the crowd and some photobombers to get that perfect shot of you walking through the terrace, but if there’s one shot that screams ‘Bali’, this will be it! 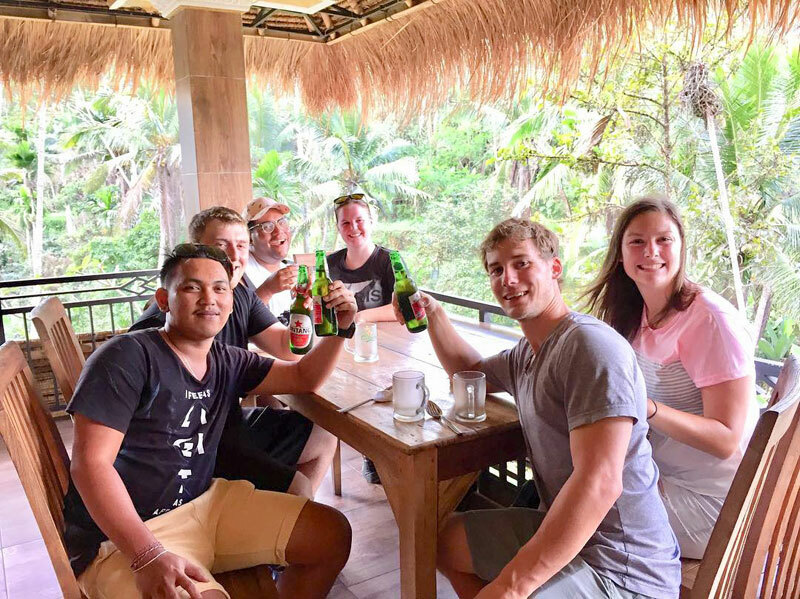 TripCanvas Tip: Be mindful of on-site scammers – visiting the rice terrace is completely free and you DO NOT need a guide (unless you want one)! Address: Jl. 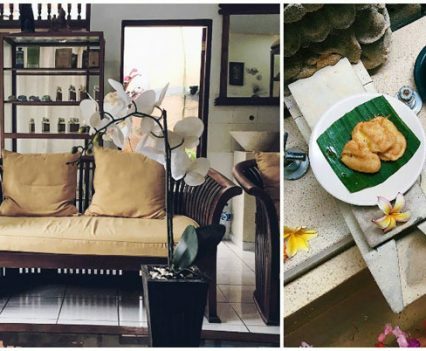 Raya Tegallalang, Tegallalang, Kabupaten Gianyar, Bali 80561, Indonesia. Coordinates here. 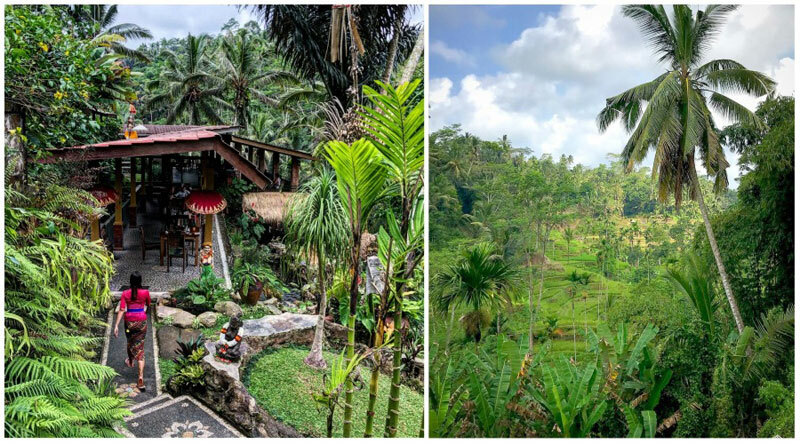 Stop by the delightful Boni Restaurant while you plan your trip to the Tegallalang rice terraces and find your very own ‘Eat, Pray, Love’ moment! 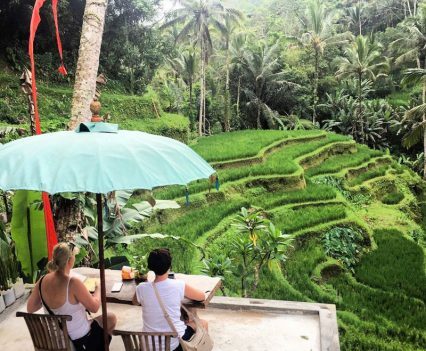 We’ve told you that every Bali trip is incomplete without a visit to the emerald green rice terraces, and at Boni Restaurant you are guaranteed the seats with the best views. 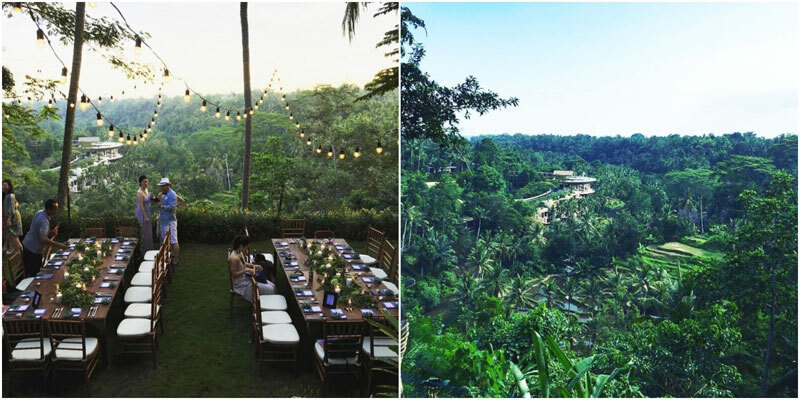 Enjoy a traditional meal perched overlooking the vast and stunning rice fields and fall in love with the serene rustic side of Bali. 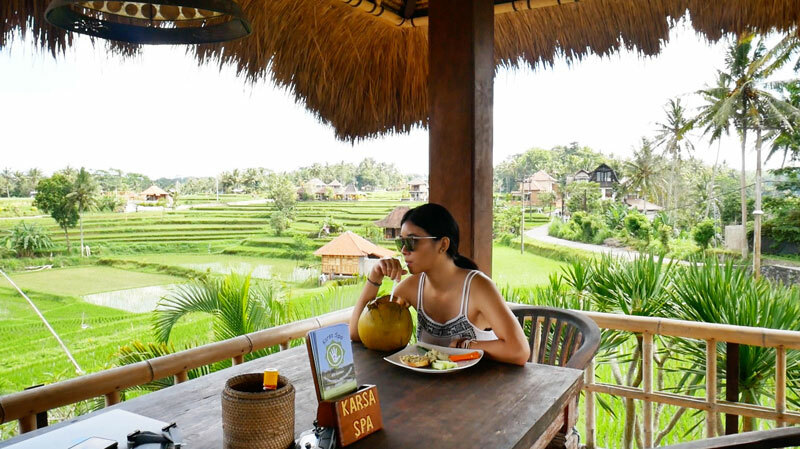 We hear that the delicious Nasi Bakar makes the gorgeous views even better! 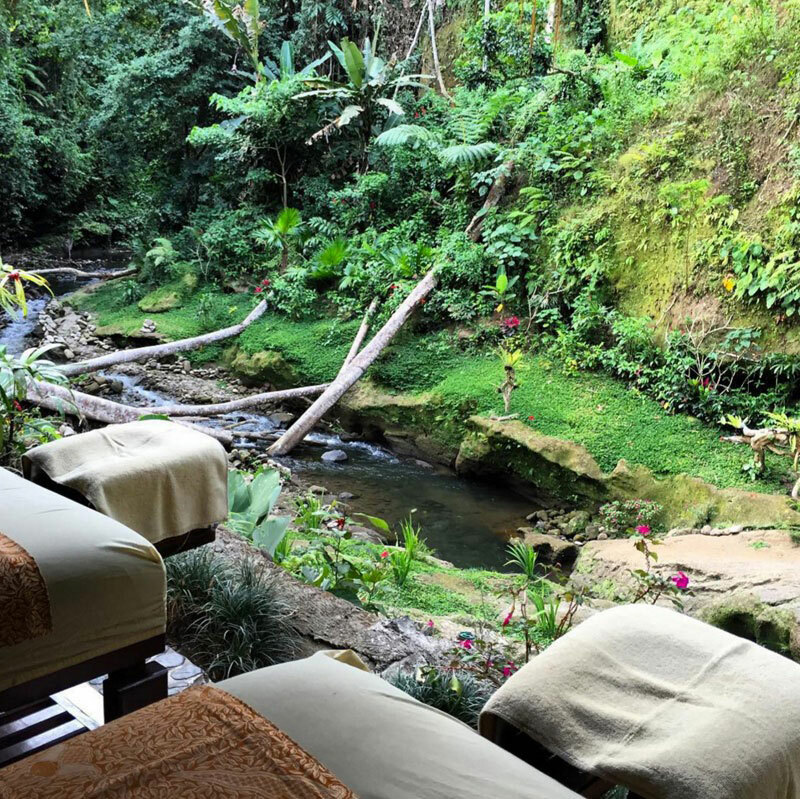 With an air of mystique and a magical outdoor spa setting to rival the most beautiful secret locations in Ubud, the day spa at the Tjampuhan Hotel is positioned at the base of a valley, mere metres away from the natural splendour of one of Ubud’s gently flowing river tributaries. 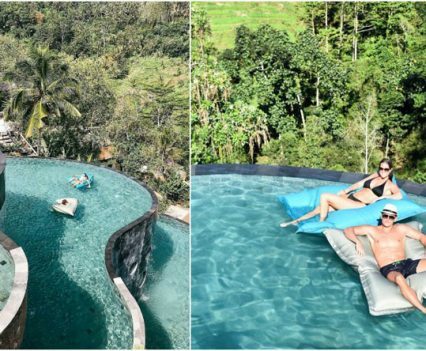 This is every couple’s dream come true as it is composed of several semi-open treatment pavilions and an extraordinary hot/cold spring water jacuzzi created within an elaborately carved mythical stone cavern – a sensual experience indeed! 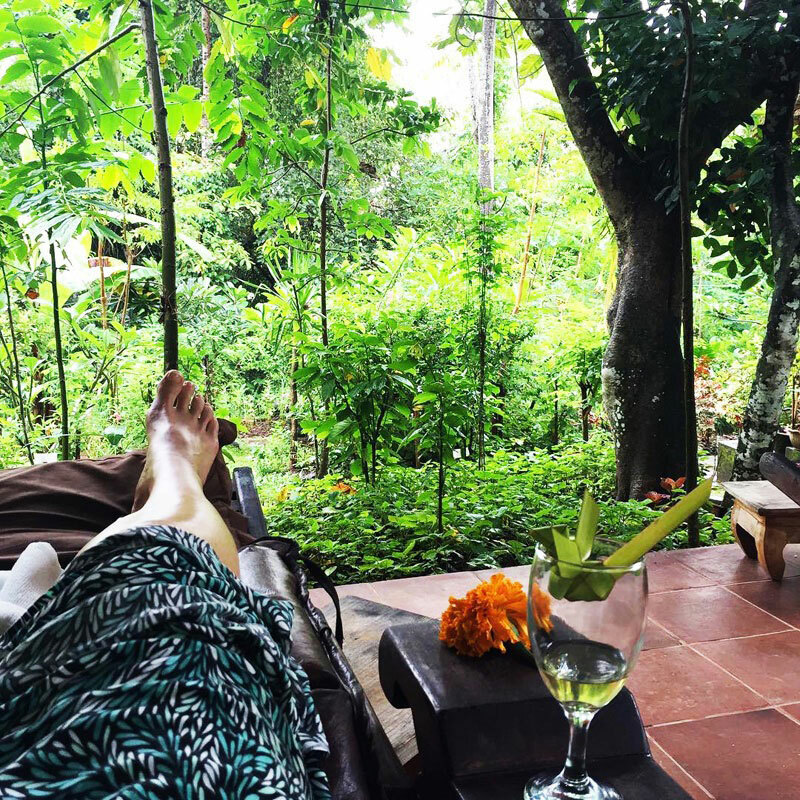 If you’re feeling a little tight on cash, yet badly want a massage treat in a comfortable spa, we highly recommend Jaens Spa. 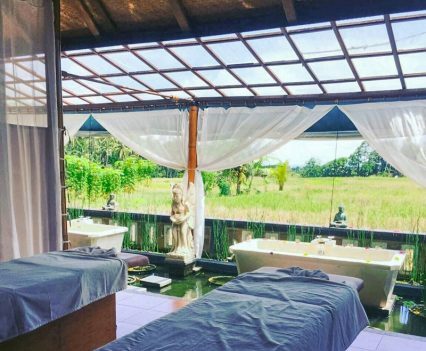 This is where you can enjoy a couple spa in a luxurious setting at value-for-money prices, especially for their Traditional Balinese Massage. 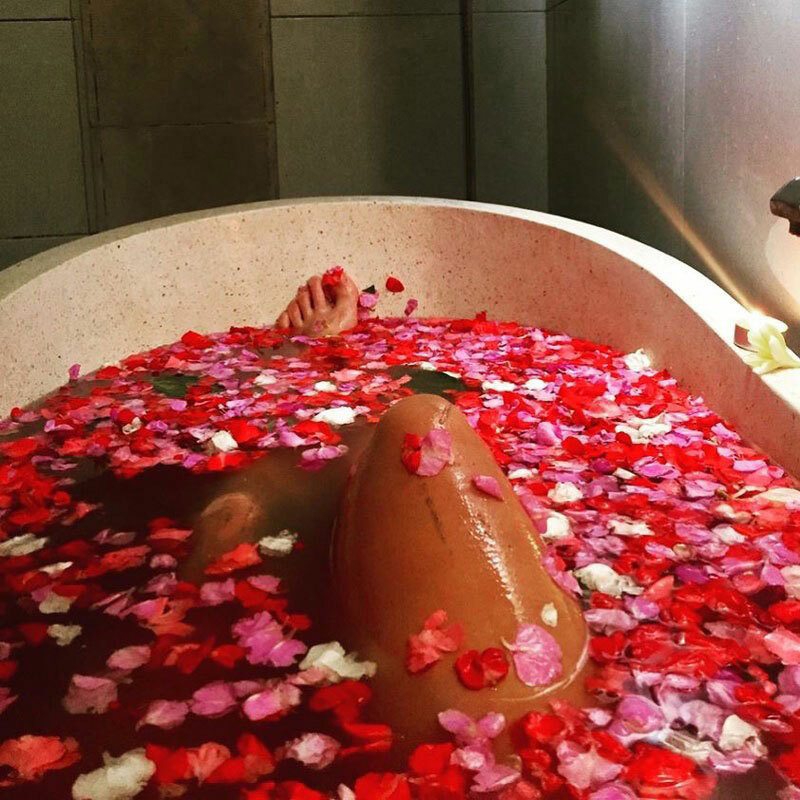 Your body – and your partner – will thank you for the pampering! 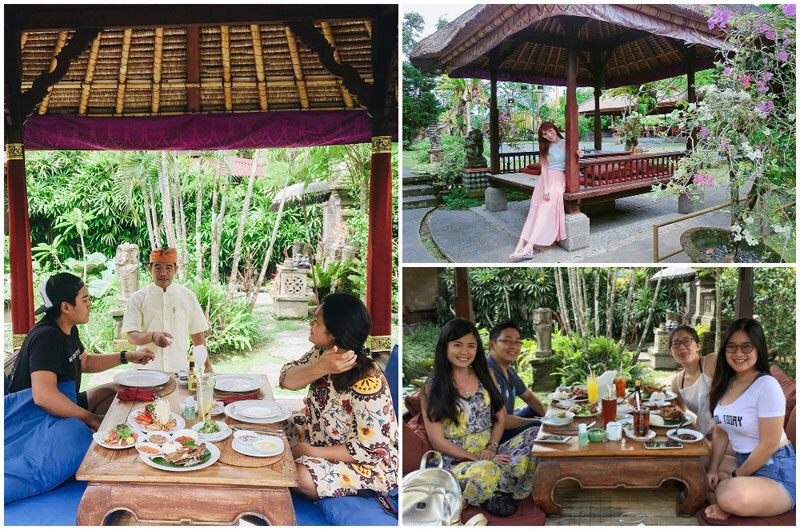 Folk Pool & Gardens is more than just a place to chill at, come in here to sip on a cuppa and have some delightful Indonesian treats! 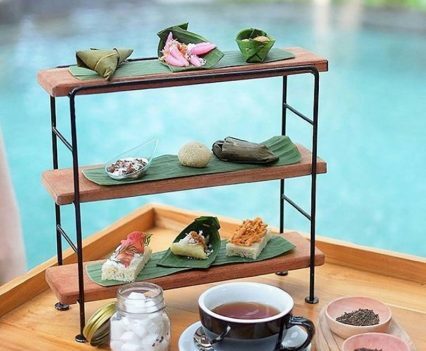 Wrapped in banana leaves and displayed on a three-tiered stand, these Indonesian savouries are real surprises for your palates. And yes, you get free access to the pool, which you can jump right into from your private cabana! 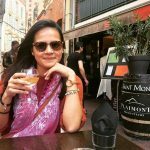 TripCanvas Tip: Reach by 3pm to catch the high tea session! 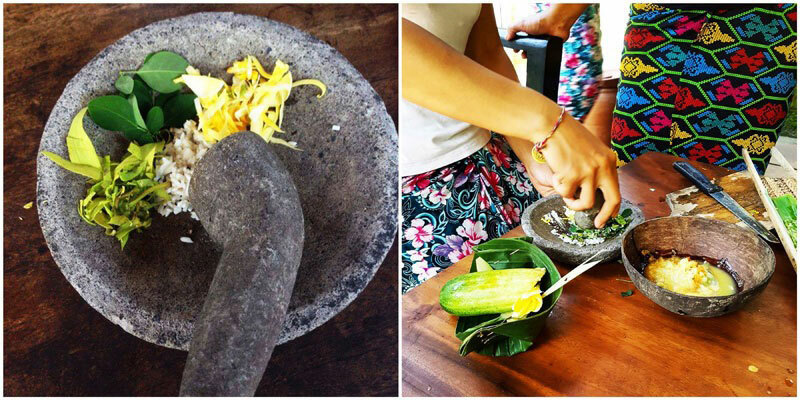 When in Rome, do as the Romans do – surely you weren’t thinking of leaving Bali without trying things the local way? 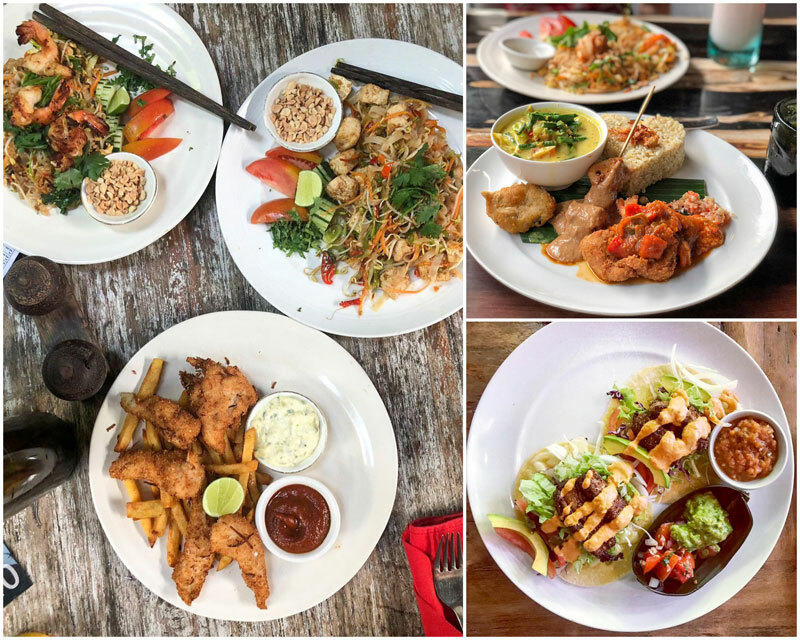 At Laka Leke, you’ll get to try out local favourites, modern Indonesian fare, authentic Balinese cuisine and more, all in one place. 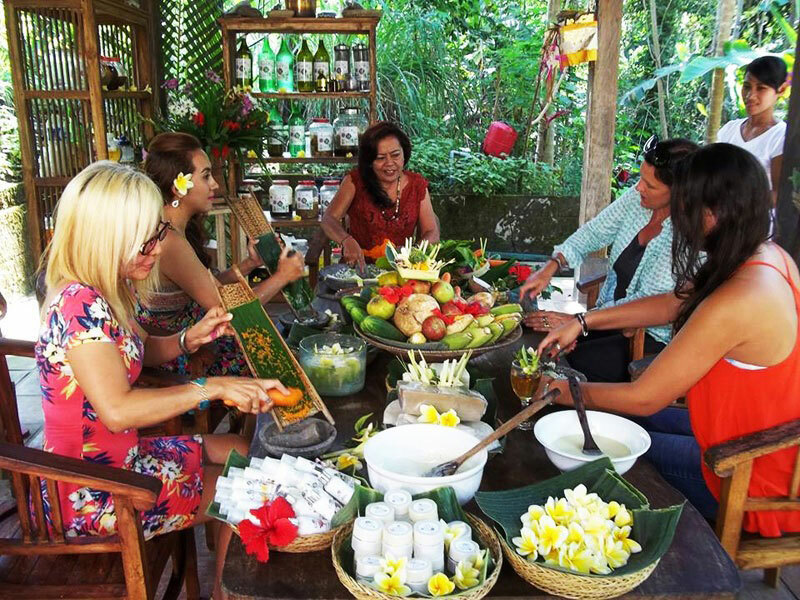 You’ll also get to be entertained by traditional Balinese performances as you dig in! We personally loved their popular crispy duck, which goes amazingly well with some sambal matah. 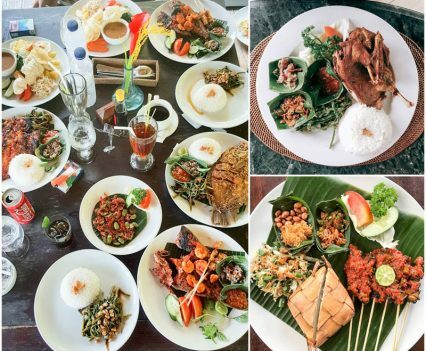 Then again, everything at Laka Leke tastes fantastic, but no words can do justice to their mouth-watering Nasi Campur – colourful and flavourful! 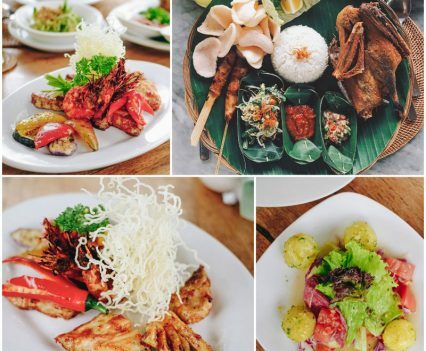 TripCanvas Tip: On specific nights, the restaurant gets busy with traditional performances, which see locals dressed in colourful and shiny outfits replicating theatrical dances such as the Barong and Kris Dance, Frog Dance, Joged and Children Dance, as well as Bali’s popular Kecak Dance. 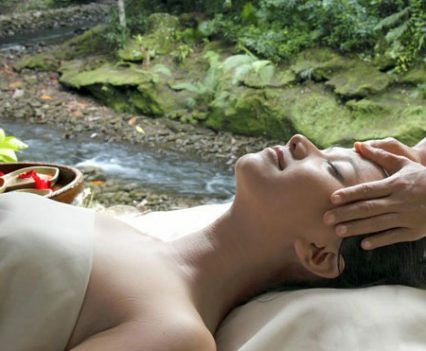 Unwind with leisure activities and free your minds from daily worries! Wakey wakey! 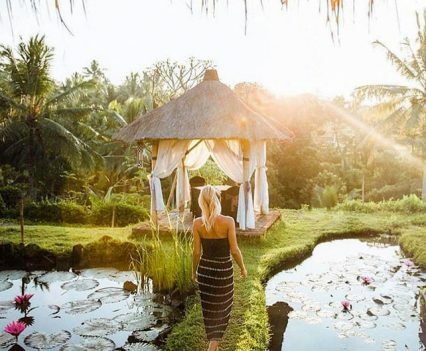 It’s time to wake your partner with a morning kiss, for you’re going on a romantic sunrise stroll amidst nature, followed by soul-cleansing activities and a little partying (never killed anybody!). We recommend setting off early as the morning sunrise walk is best enjoyed between 6am – 7am! 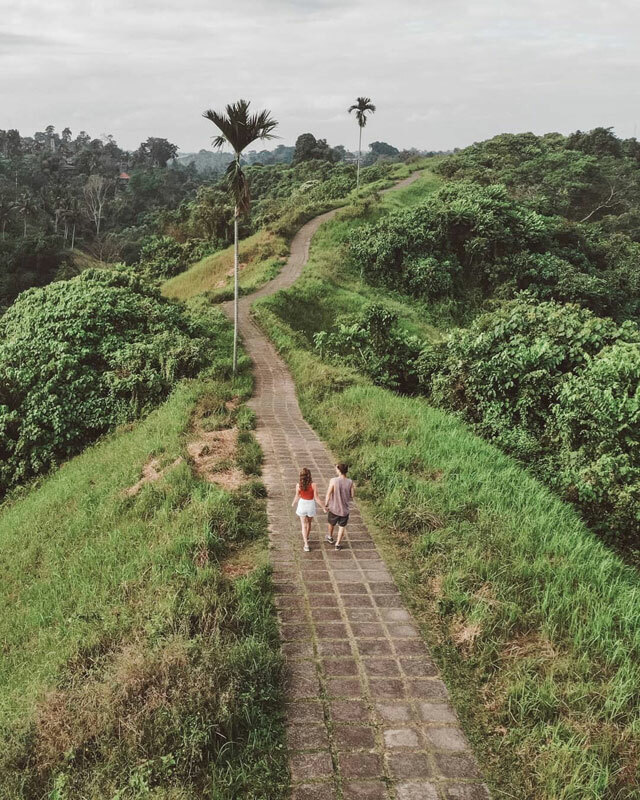 Holidays are rare moments in life when we can ditch alarm clocks in favour of having the sun shine on us… but trust us, the sunrise walk at Campuhan Ridge Walk will be worth the early morning alarm clock you nearly snoozed. This is a beautiful paved walk that is best enjoyed around 6 to 7am, right before the scorching hot sun rises fully. 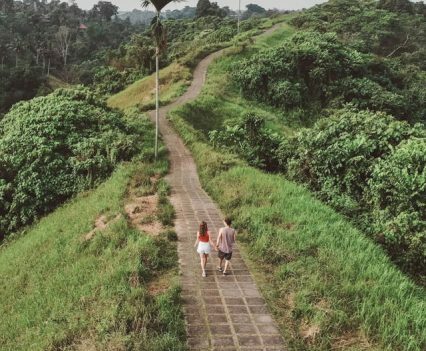 It’s a short trek that can be enjoyed as a romantic date! 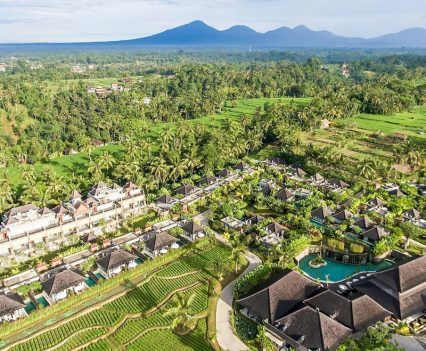 Enjoy scenic views of endless greenery as you trudge towards the paddy fields at the end of the trek – what a perfect start to your day! 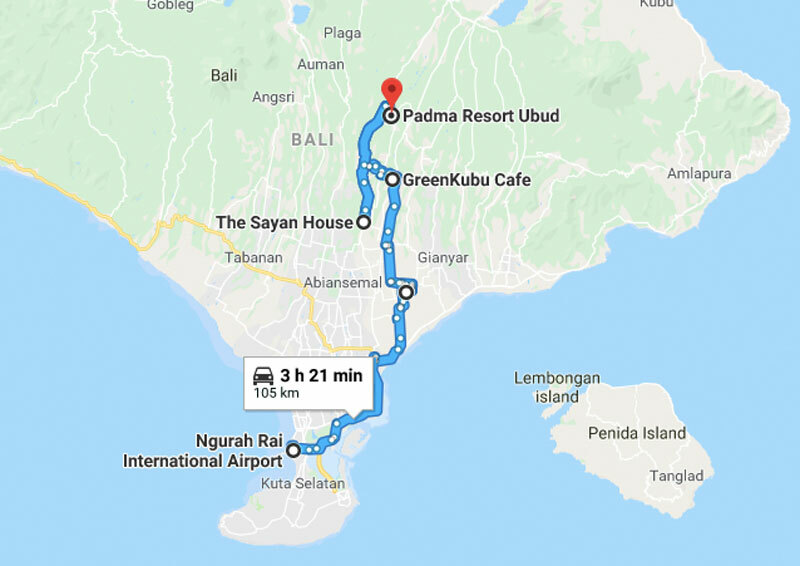 Address: Kelusa, Payangan, Jl. 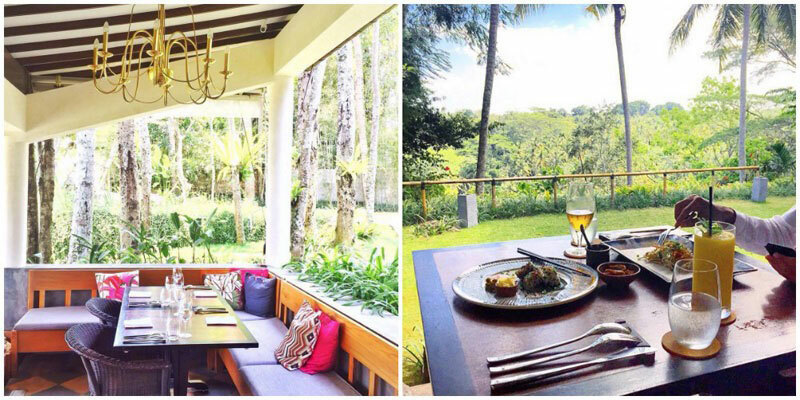 Raya Campuan, Sayan, Ubud, Kabupaten Gianyar, Bali 80571, Indonesia. Coordinates here. For breakfast today, you get to cleanse your minds and bodies with clean food! 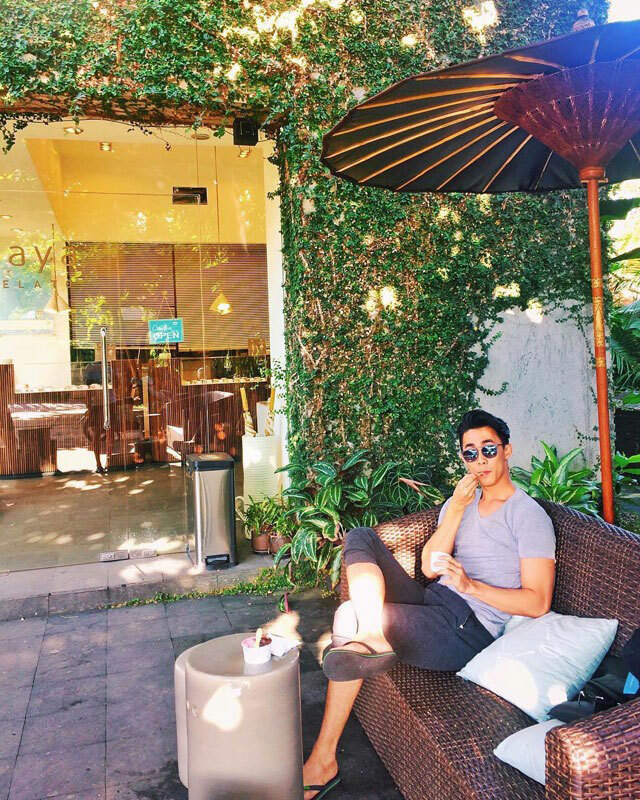 One step into Clear Cafe, and you’ll feel like it’s an oasis away from the busy streets outside. 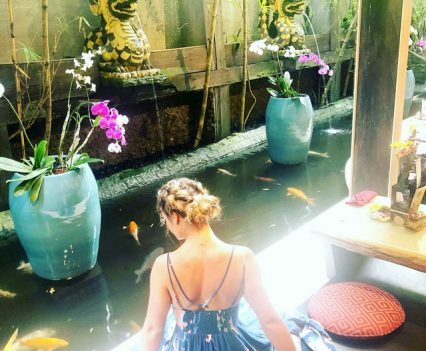 Leave your shoes at the entrance and step through the Hobbit-esque doorway, and you’ll arrive at a peaceful semi-outdoor setting, complete with a pond filled with beautiful orange-golden koi fishes! 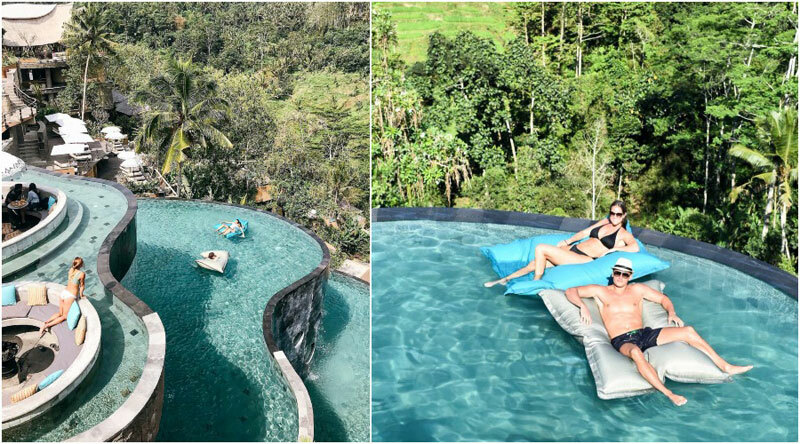 While there are many seat options to choose from, we recommend opting for the cushion seating by the pool for a unique experience. 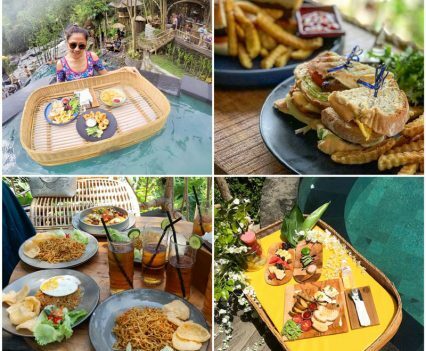 The food here is just as unique, as everything is finely crafted from organic local ingredients – go for their special Tuna Burger and you might come back for it again! 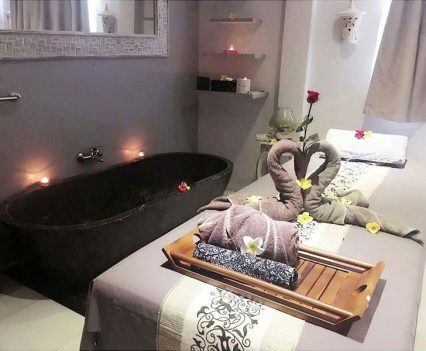 While lying down and enjoying a massage for one hour can be great fun, why not try unraveling the mysterious workings of a spa with your significant other? 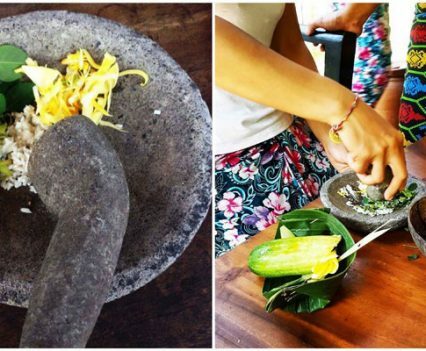 You’ll be making your own face mask, face scrub and face cream with natural products such as rice, corn, coconut, candlenut and herbs collected from the onsite garden. 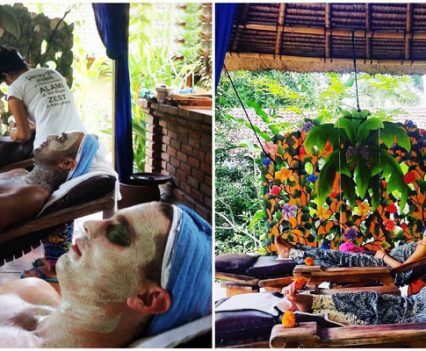 At the end of the workshop, you’ll even get a 1-hour facial with the spa products you made! Note: You’re advised to make a reservation 24 hours in advance. Unknown to many, you’ll find peace and serenity at this water temple. 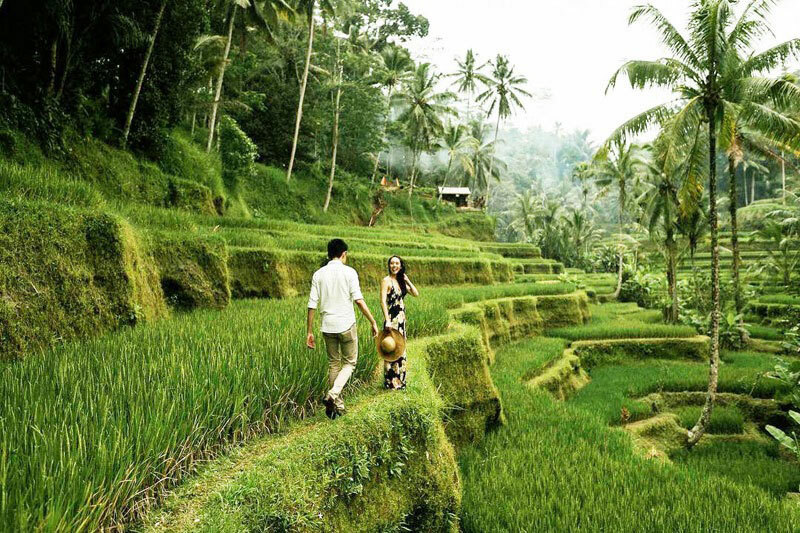 The ancient pathways are covered with green moss, depicting a voyage through old Hindu civilisation. Wash your worries away in cleansing pools (one for women and one for men) as you admire the beautiful ancient artworks carved into cliff rocks – legend has it that the pool water has a special spiritual power to cleanse one’s soul! 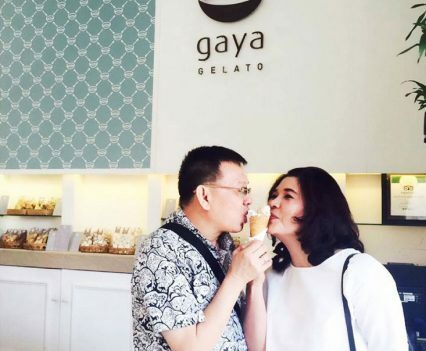 Address: Jalan Tirta No. 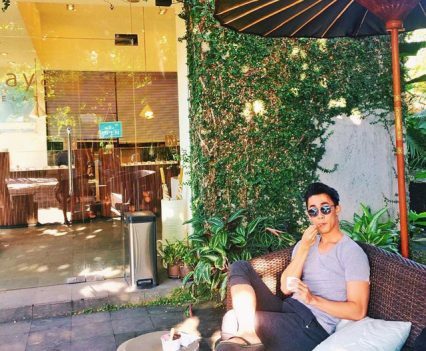 25M, Sareseda, Tampaksiring, Kabupaten Gianyar, Bali 80552, Indonesia. Coordinates here. 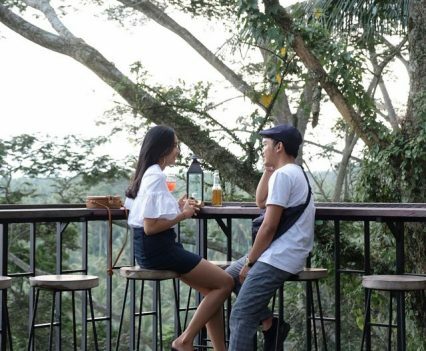 Celebrate your love with a romantic picnic at Desa Visesa – beautiful scenery and freshly-made delicacies are the perfect way to rekindle the flames of your relationship! 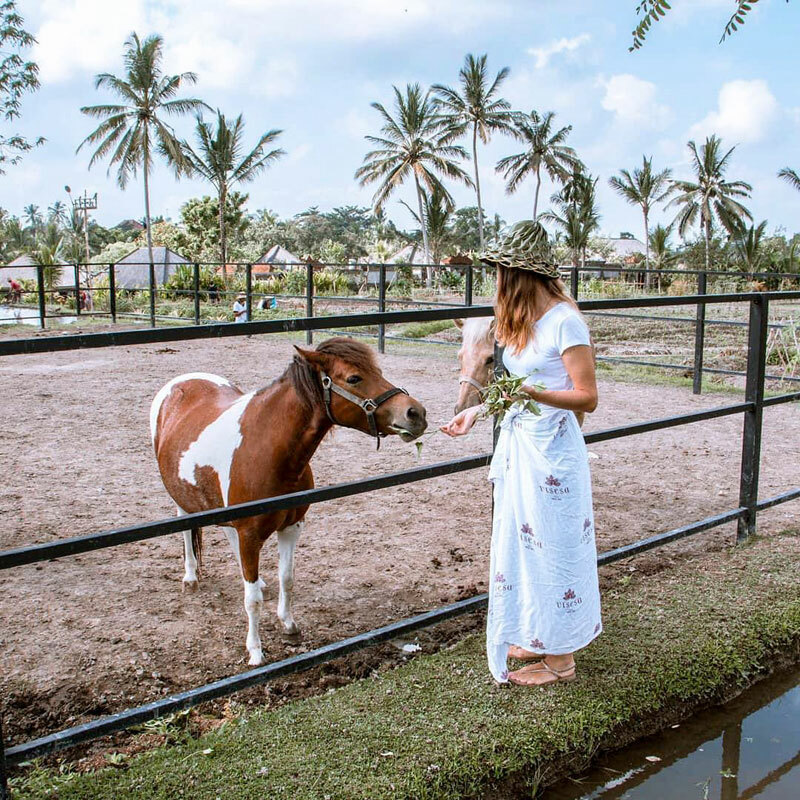 The picnic is set right in the middle of rice paddy fields, and you’ll also get to feed the onsite ponies throughout the experience. 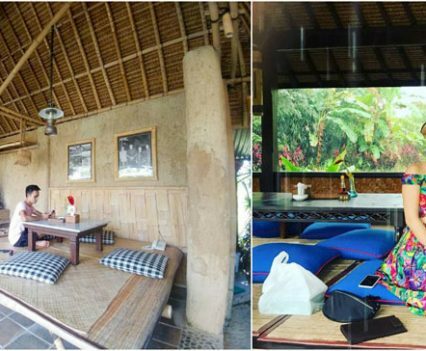 Besides the delightful location (just look at the pictures! 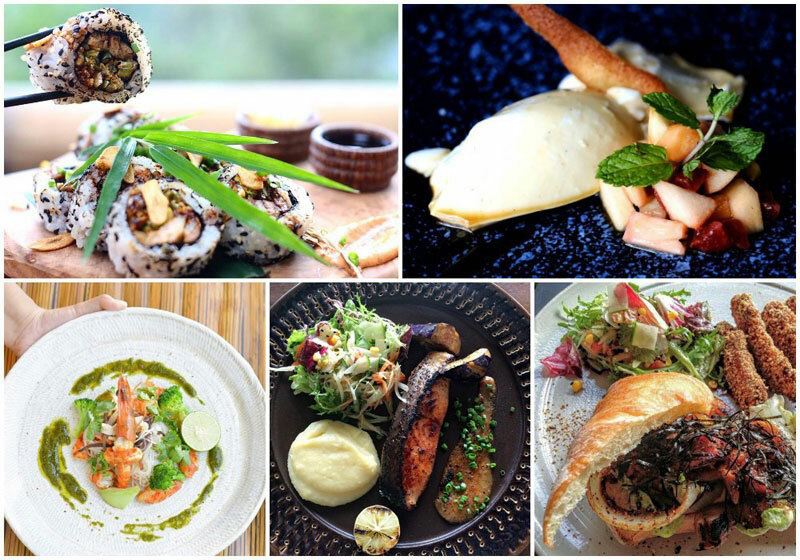 ), the diverse food selection definitely won’t disappoint too! 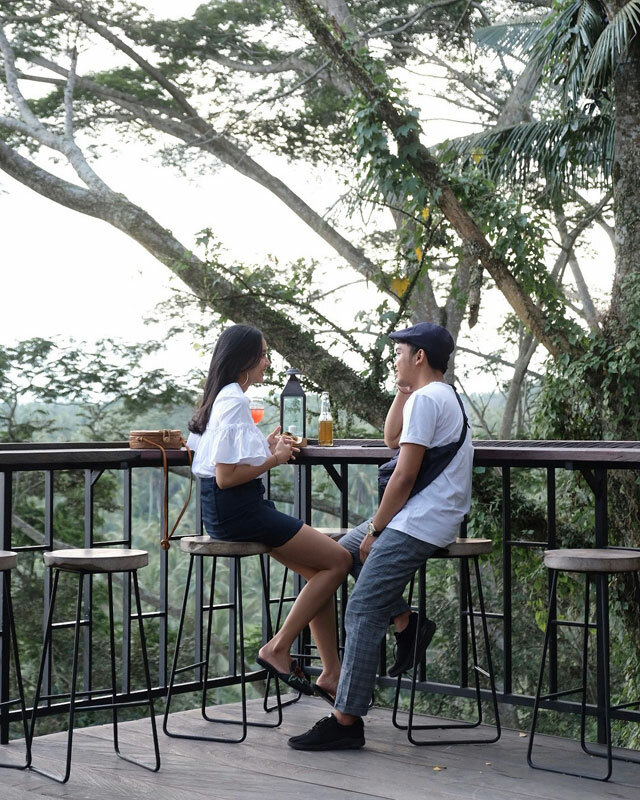 Nothing’s better than an adults-only spot to enjoy groovy music with your lover, with no pesky kids to ruin the mood! 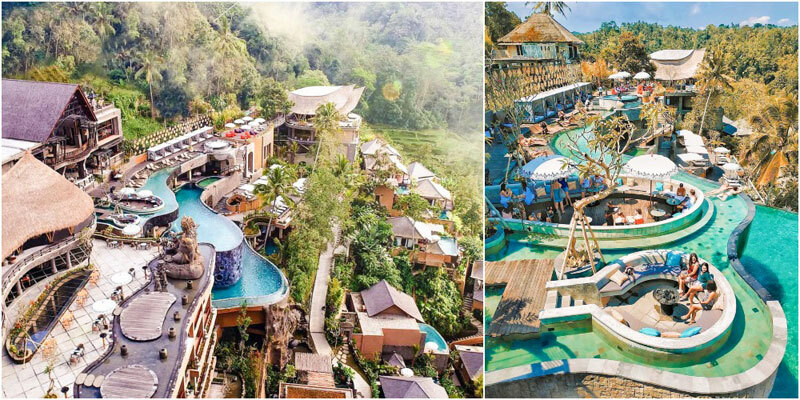 Head over to Wanna Jungle Pool & Bar to experience everything a beach club has to offer, except for the beach. 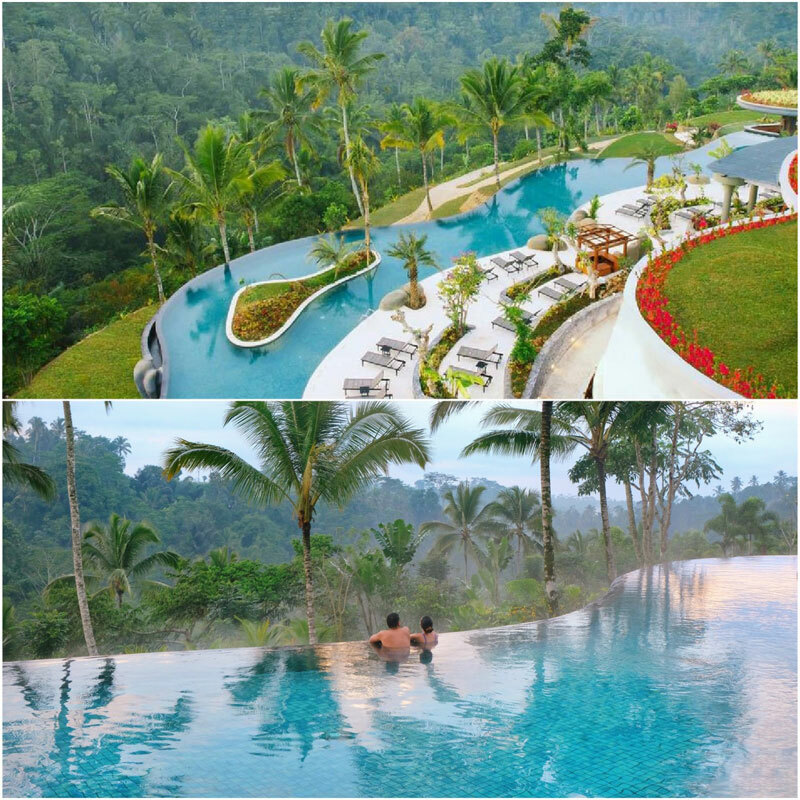 Yes, this is a beach club with no beach, but stunning architecture, majestic jungle views and a 3-tiered pool to match! Grab your partner and come by on Saturdays, where you can enjoy a fun date swaying to the sounds of a live DJ! 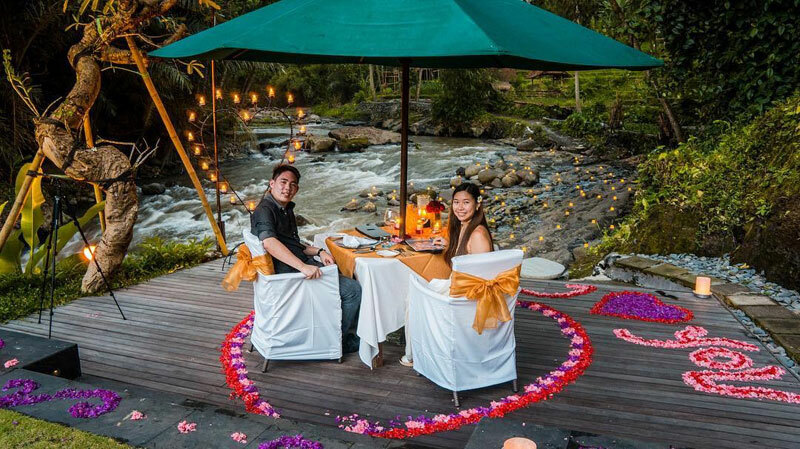 End the last evening of your trip with a magical dinner on a beautiful wooden deck by the rushing Ayung river at Swept Away restaurant, decorated with 100 romantic candles. 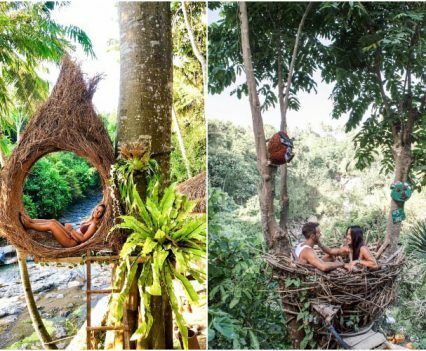 You’ll lose yourselves in your own world, where there’s only you and your partner, and the beautiful nature that witnesses your love story. Treat yourselves with a last pampering session, sweet treats and shopping! 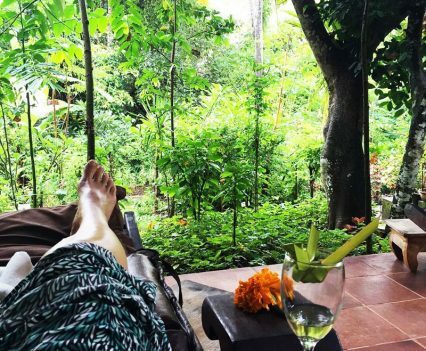 What better way to end this romantic getaway than with life’s little pleasures? 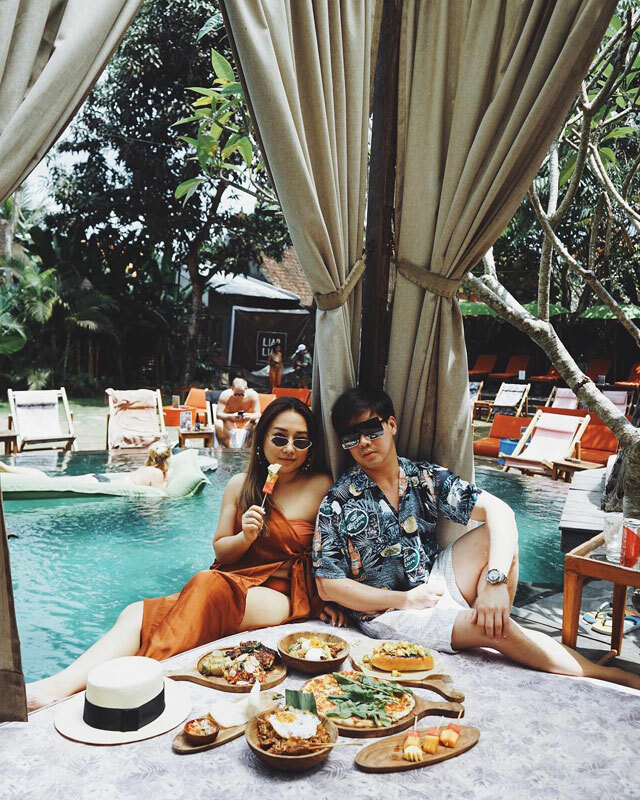 This last day in Ubud promises you and your lover complete rejuvenation, along with delectable treats for you and little souvenirs for your friends and relatives! From the second you both arrive at the tropical garden entrance, you will realise that this restaurant is all about the Bebek – the duck! 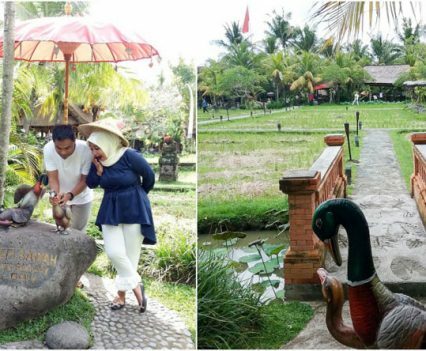 Statues of ducks, live ducks and the delicious crispy duck on your plate make it clear – as does the name of this fantastic restaurant! 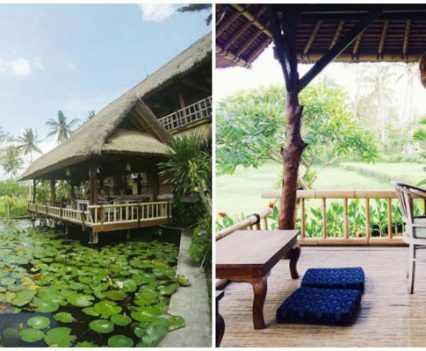 Situated at the corner of a paddy field, you can gaze out across the rows of little rice plants and listen to the gentle buzz of the surrounding nature. 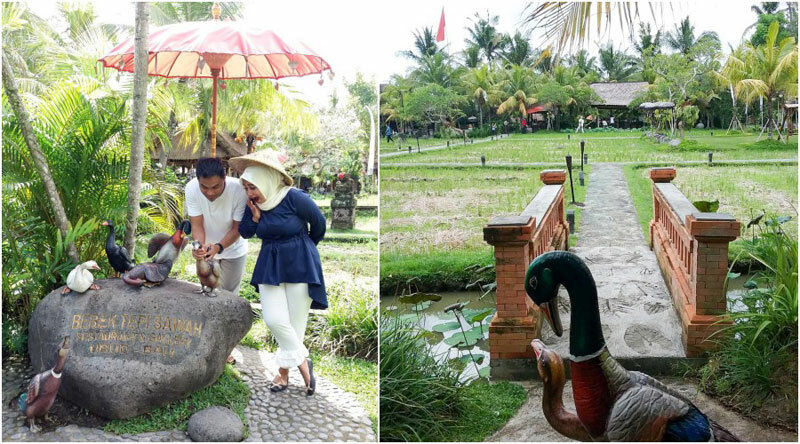 The odd duck quack will add to this authentic experience as the ducks splash around their pond and enjoy basking in the sunshine.The menu is a mixture of Indonesian, Western, Asian and other International dishes. 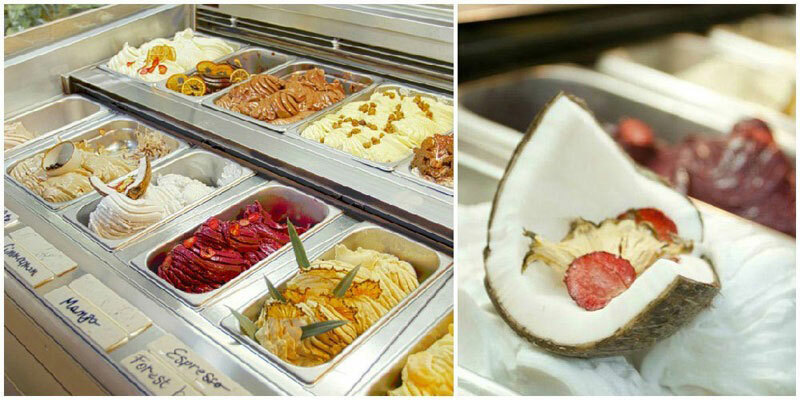 All freshly prepared, reasonably priced and of course, truly delicious. 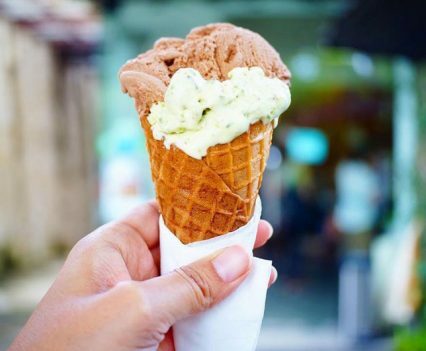 Who doesn’t love a good two-in-one? 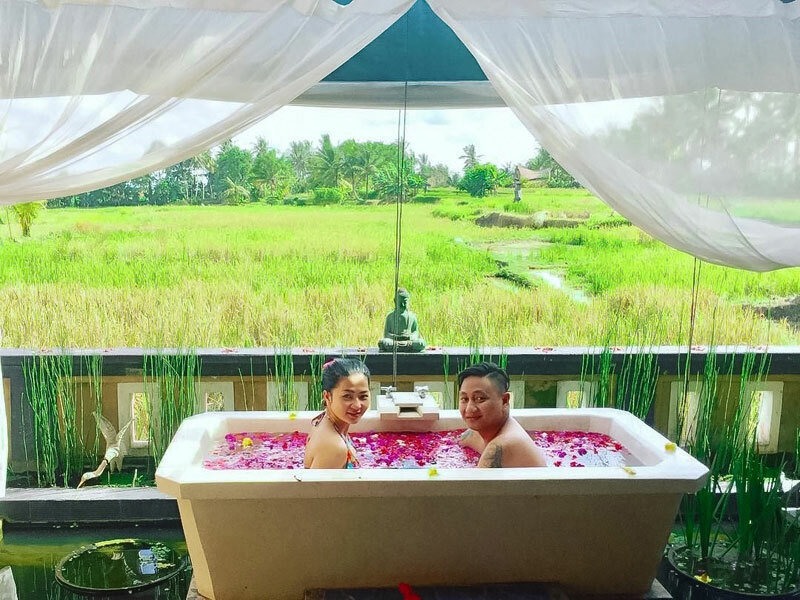 At Beji Ayu Spa, you’ll get not just a great couple massage, but a great view as well! 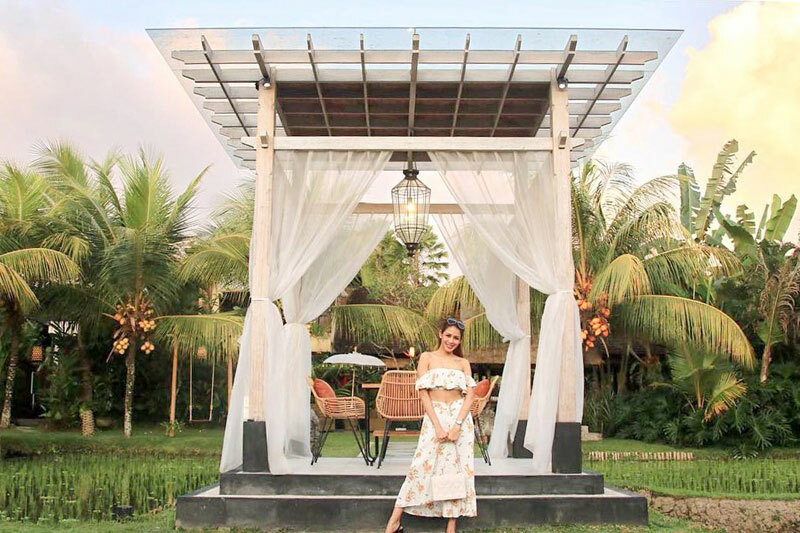 Beji Ayu focuses on giving you a soothing experience by harnessing nature’s energy, chakra and spirituality to reinforce your love for each other! 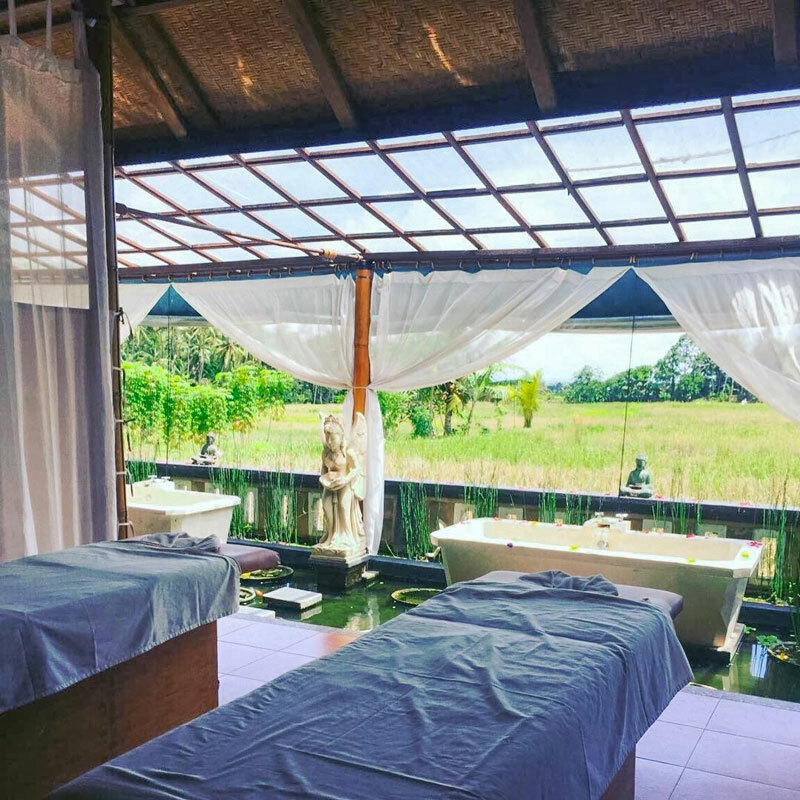 Step through the doors, enter a world of Balinese sculptures and zen gardens, and get ready to be pampered like a god and goddess. 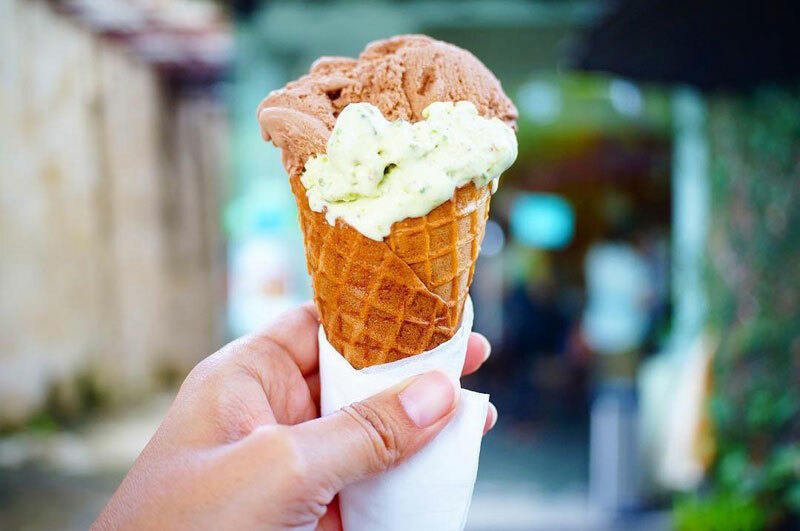 Now that you’ve refreshed your body, mind and soul, it’s time to treat your sweet tooth with some naturally crafted gelato – the best in Bali if you ask us! 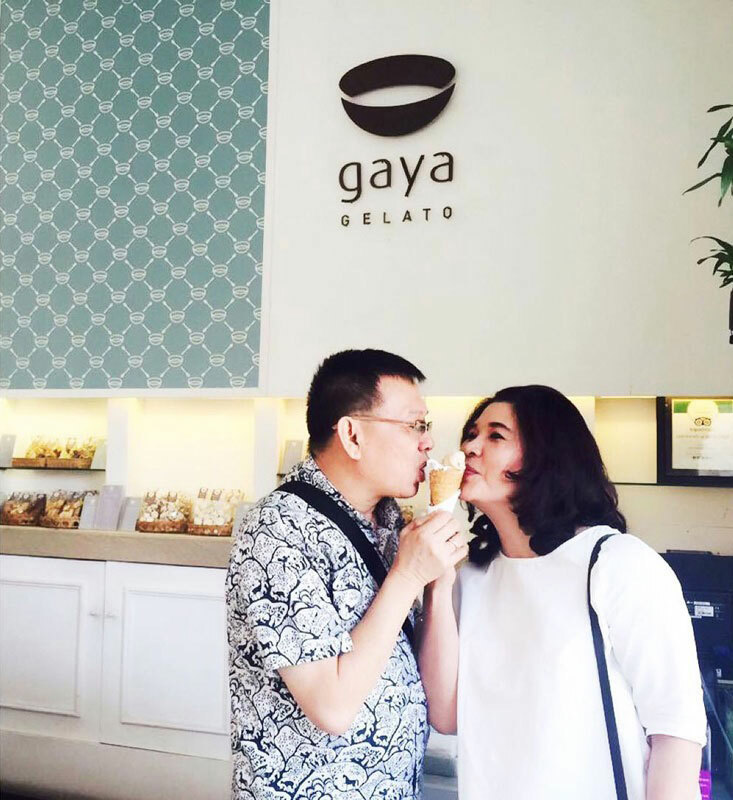 Gaya Gelato serves up a variety of rich, refreshing gelato made from natural ingredients that will leave you feeling extremely happy and satisfied. Picky eaters, don’t worry – there are over 30 flavours to choose from! P.S. 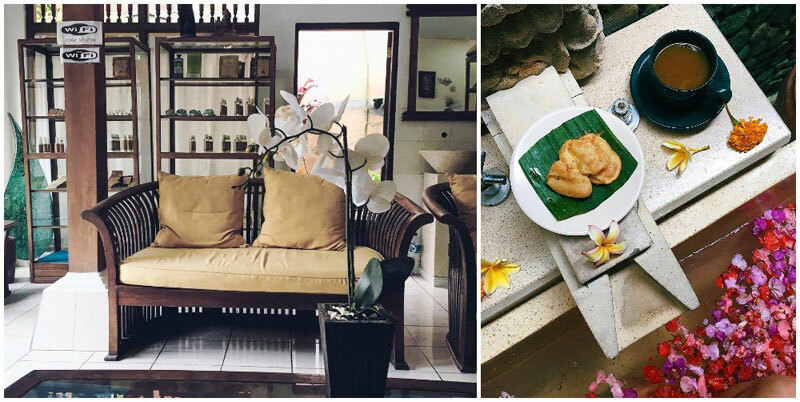 We love their homemade biscuits too – they are made with organic Balinese eggs, without added colouring, additives or hydrogenated fats, and are simply delicious! 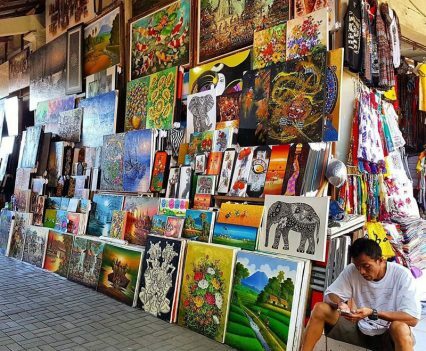 A treasure trove of all things art and handmade, Sukawati Art Market is a must-visit place if you are looking for reasonably priced handicraft items, jewellery and art pieces. 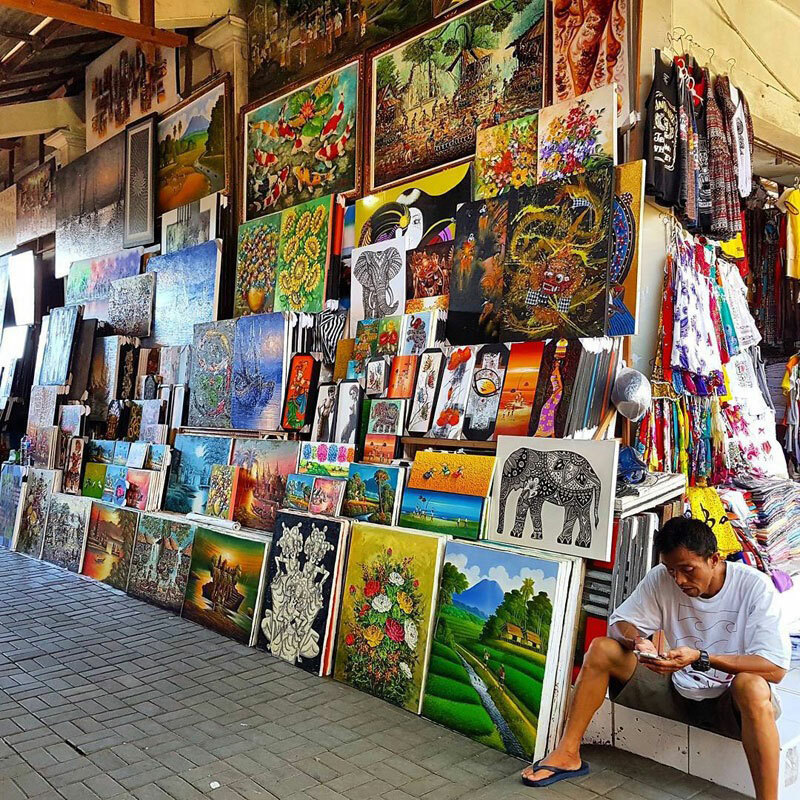 This place is much more authentic than Ubud Art Market, which has evolved to selling mainly commercialised trinkets. 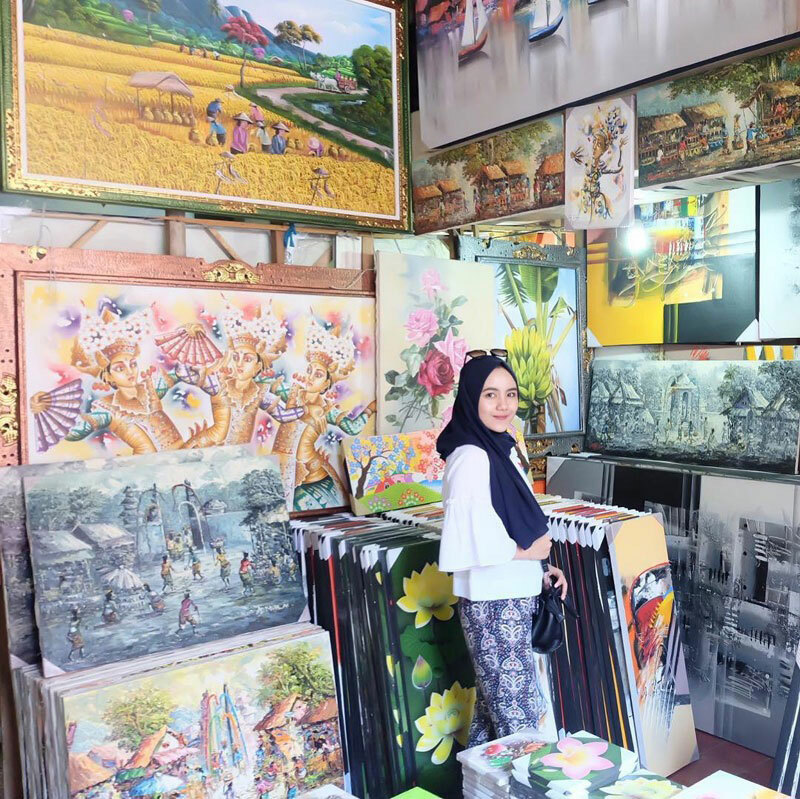 So if you are looking for genuine local art, do head here instead! 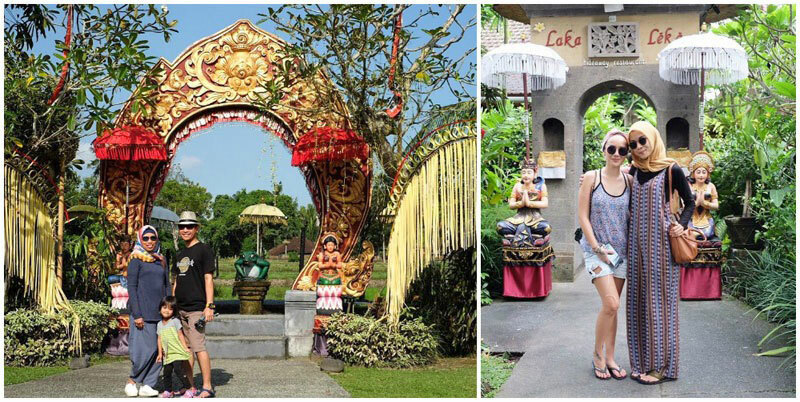 Now that you have seen the most romantic side of Ubud with your lover, share this itinerary with your couple squad! 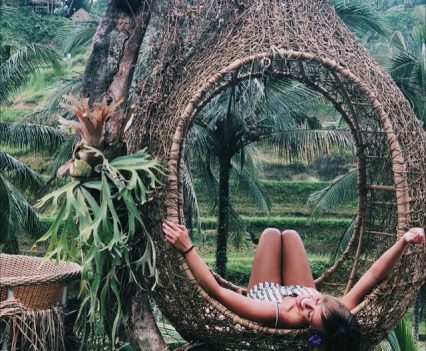 And while you’re at it, why not plan another trip to Bali? Just kidding – with another complete itinerary prepared for you, who needs to plan anything? 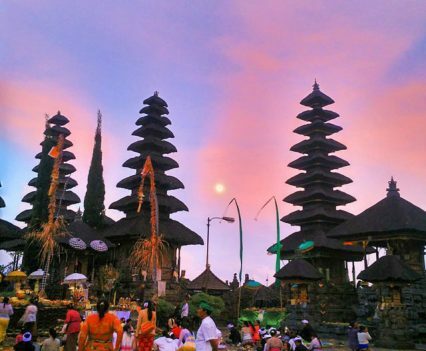 Bali has a reliable, warm and tropical climate all year round, with temperatures averaging from 26°C to 28°C. 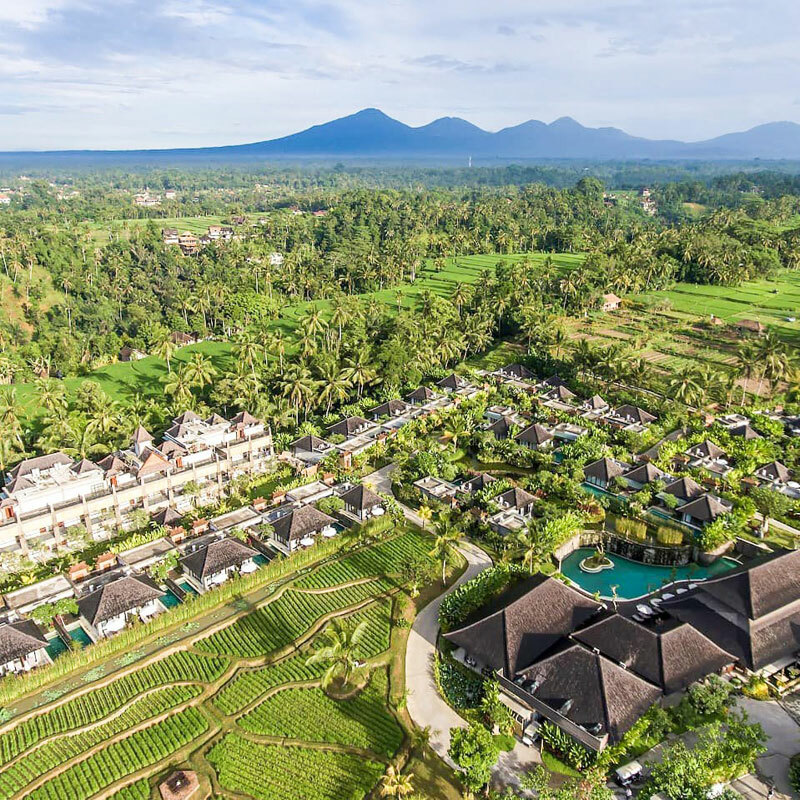 Locations at high altitude, such as Ubud and Bedugul, enjoy chillier weather. 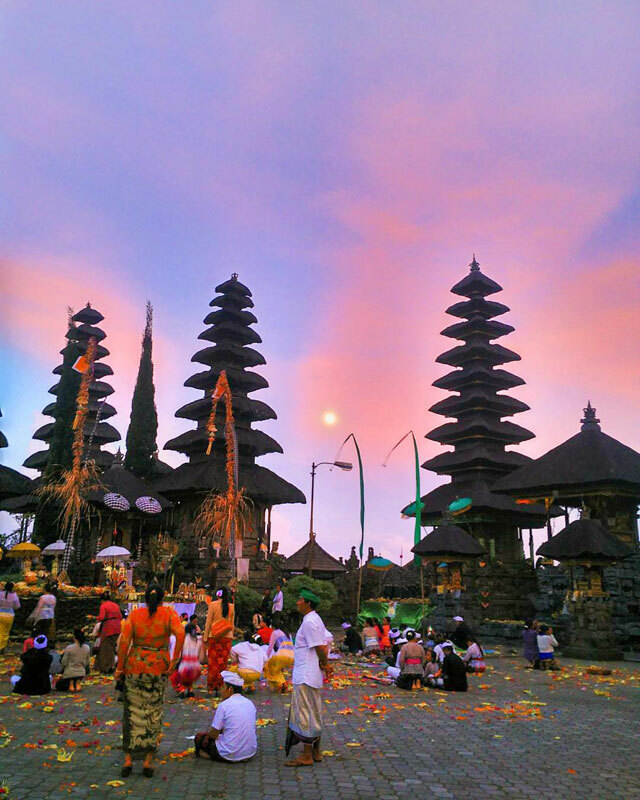 Peak season in Bali is from July to August, as well as during Easter holidays, Christmas and New Year. In May, June and September (non-peak period), accommodation is 30% to 50% cheaper than peak season rates. Plus, you still get great dry season weather most of the time. If you enjoy watersports, such as surfing, the waves are great during April and October. While slight rain showers are expected, you’ll also see plenty of sunshine. These are also great months to travel with children as most theme parks and attractions are less crowded, making getting around stress-free! 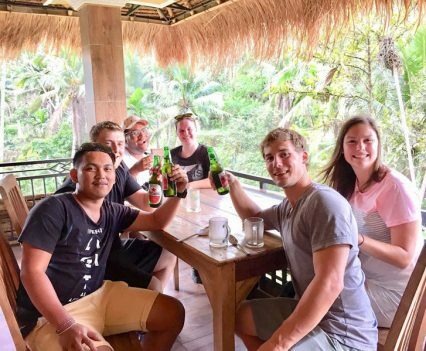 Since you’re on your first trip to Bali, it’s definitely much more convenient to either stick to the ever-reliable Bluebird taxis, Grab and Go-Jek, or simply opt for reliable car rental options with a driver and/or guide. 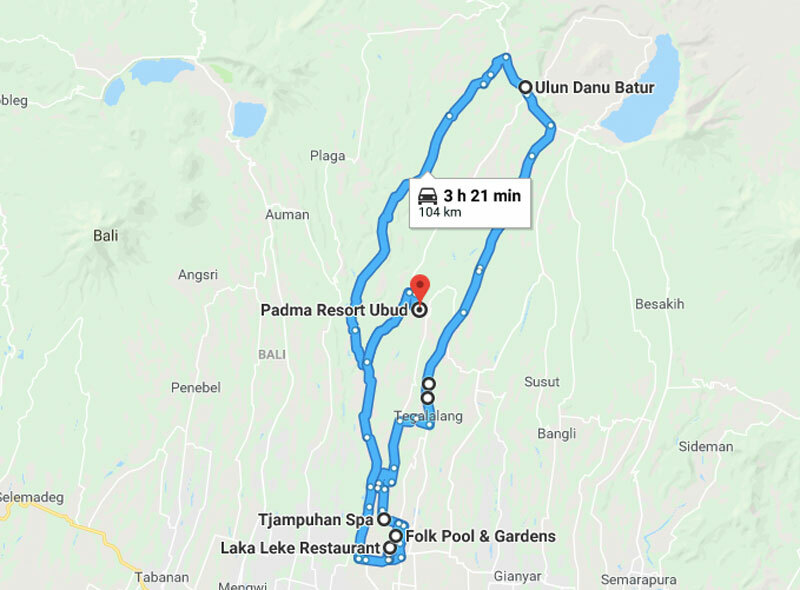 If you’re absolutely confident about driving in Indonesia, then skip the driver/guide! 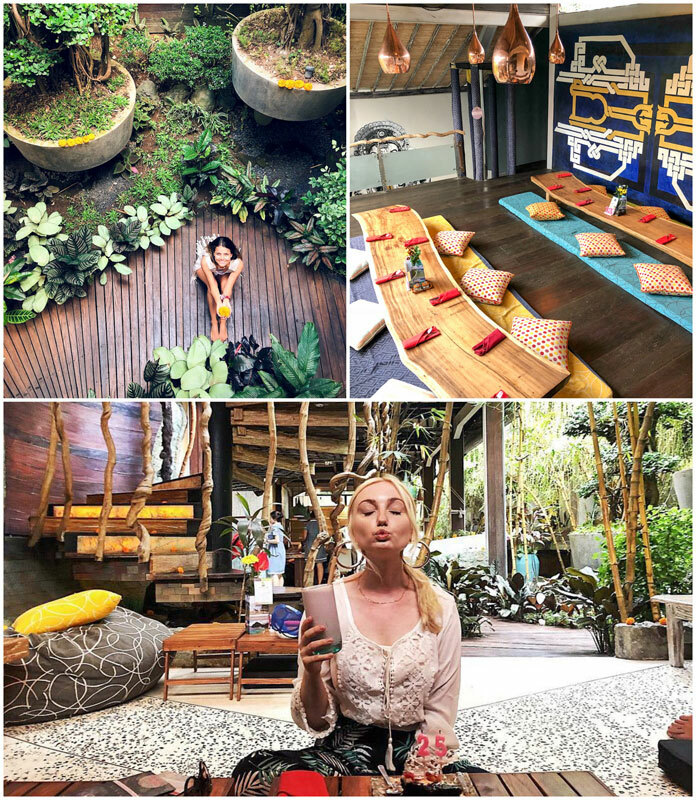 We hope this romantic Ubud itinerary helps ease the planning for your romantic holiday! 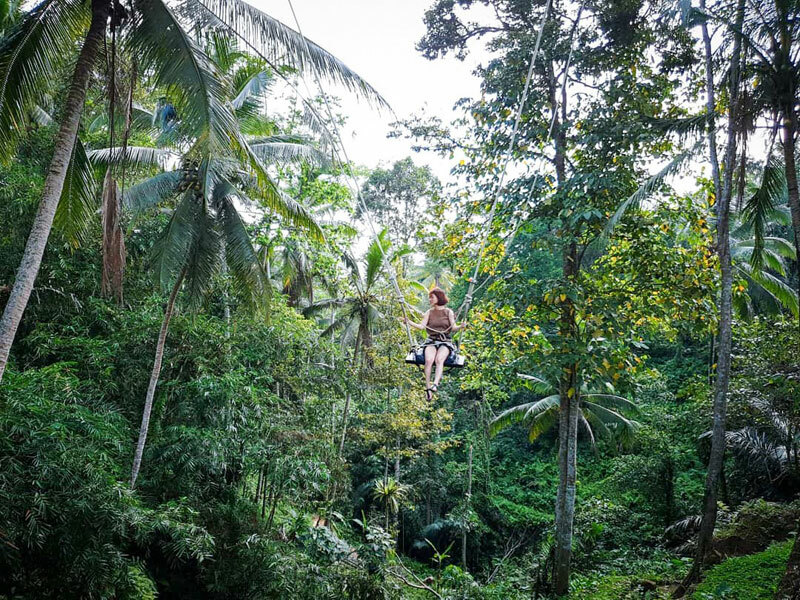 If you have any ideas or recommendations for our future itineraries, please comment and let us know!